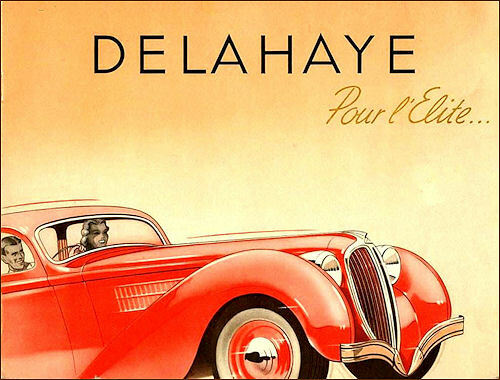 Delahaye automobile was an automotive manufacturing company founded by Emile Delahaye in 1894, in Tours, France, his home town. 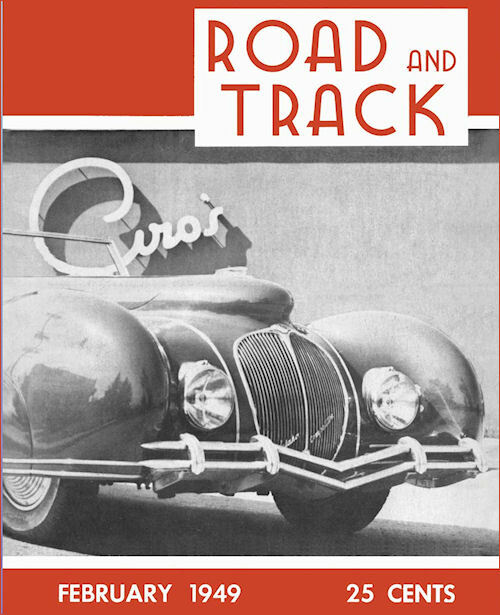 His first cars were belt-driven, with single- or twin-cylinder engines mounted at the rear. 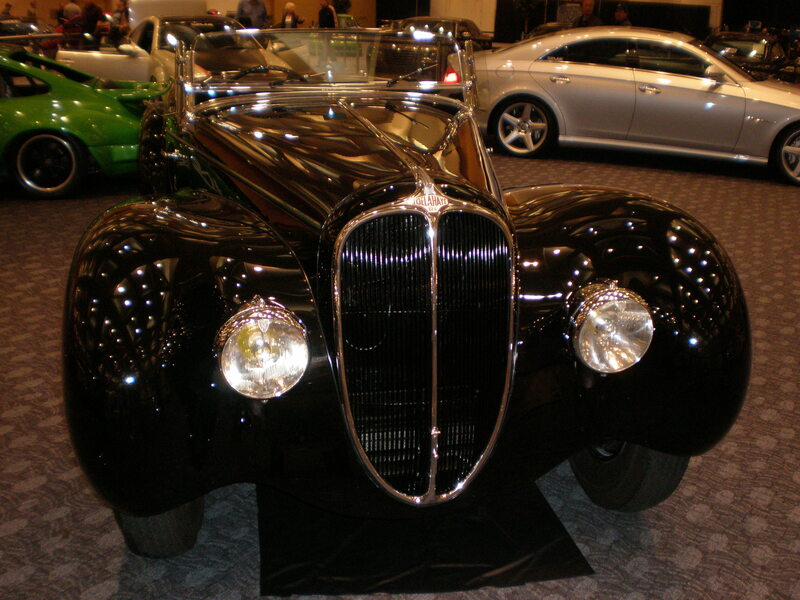 His Type One was an instant success, and he urgently needed investment capital and a larger manufacturing facility. 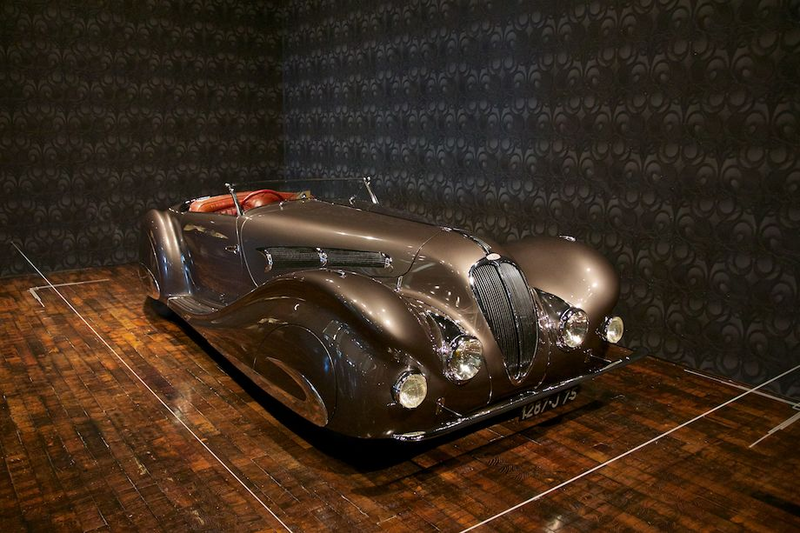 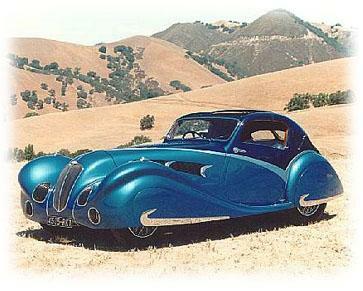 Both were provided by a new Delahaye owner and fellow racer, George Morane, and his brother-in-law Leon Desmarais, who partnered with Emile in the incorporation of the new automotive company, “Societe Des Automobiles Delahaye”, in 1898. 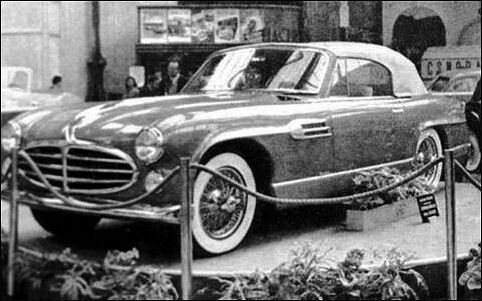 All three worked with the foundry workers to assemble the new machines, but middle-aged Emile was not in good health. 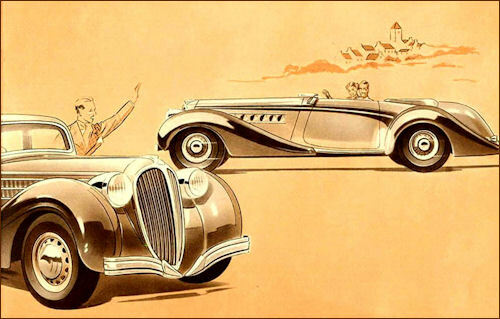 In January 1901, he found himself unable to capably continue, and resigned, selling his shares to his two equal partners. 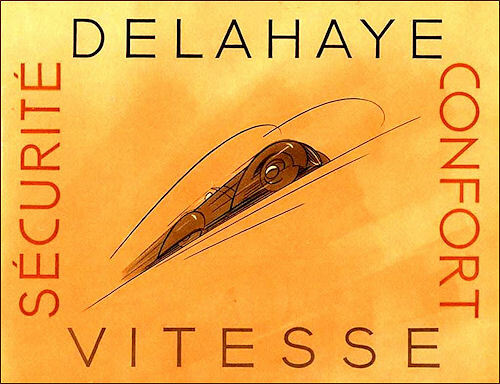 Emile Delahaye died soon after, in 1905. 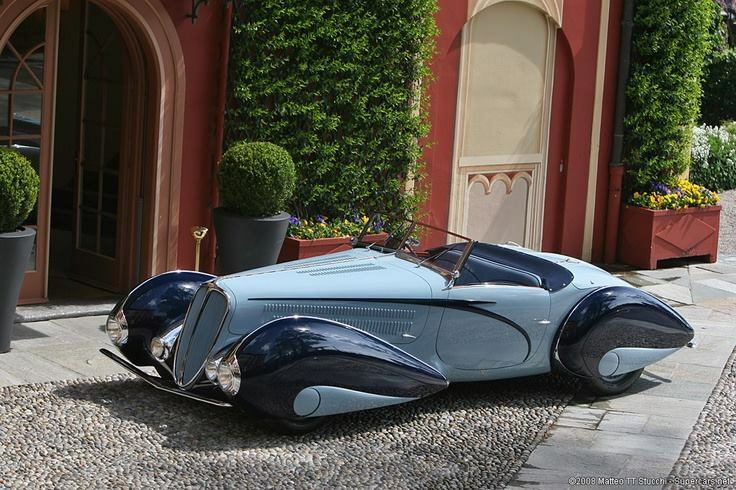 Delahaye had hired two instrumental men, Charles Weiffenbach and Amadee Varlet in 1898, to assist the three partners. 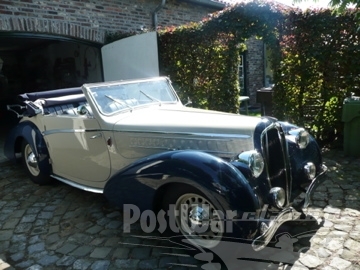 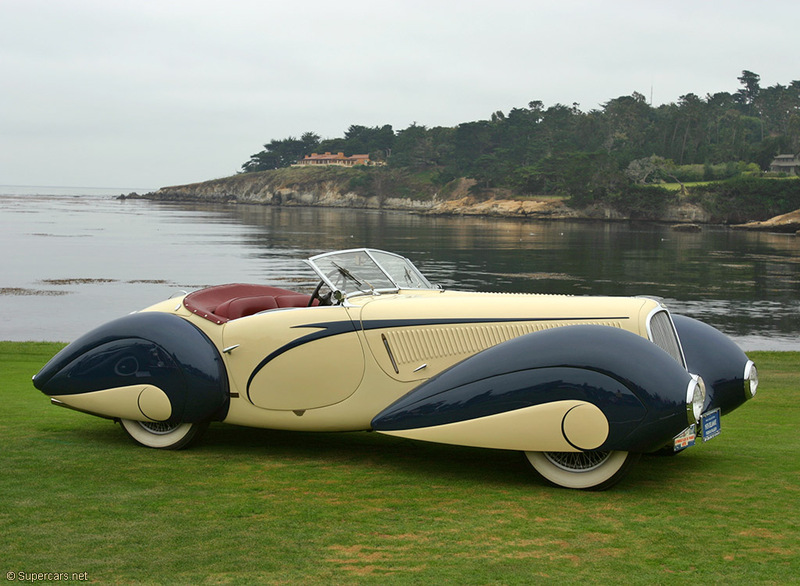 Both were graduate mechanical engineers, and they remained with Delahaye their entire working careers. 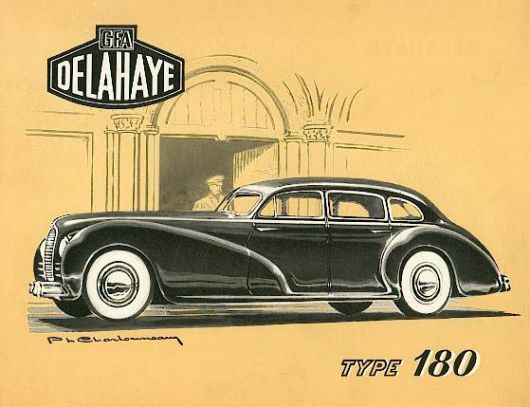 Weiffenbach was appointed Manager of Operations, and, with the blessing of both George Morane and Leon Desmarais, assumed control over all of Delahaye’s operations and much of its decision-making, in 1906. 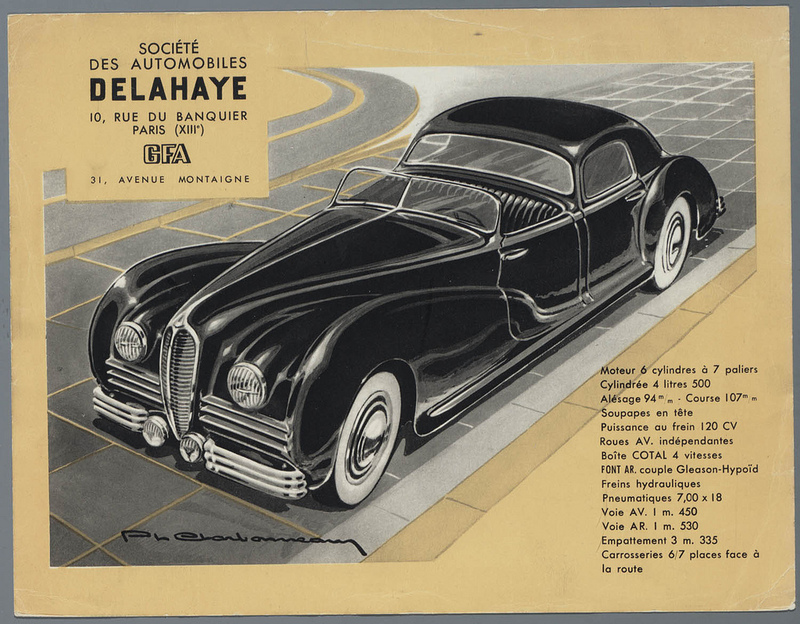 Amadee Varlet was the company’s design-engineer, with a number of innovative inventions to his credit, generated between 1905 and 1914, which Delahaye patented. 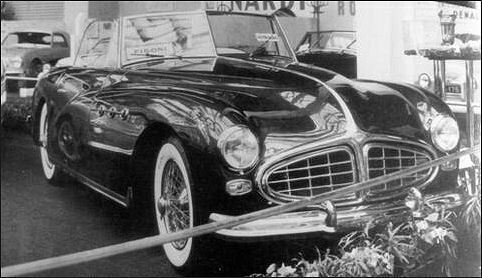 These included the twin-cam multi-valve engine, and the V6 configuration. 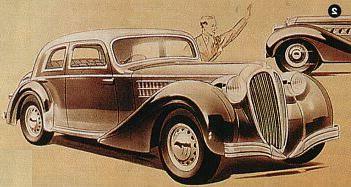 Varlet continued in this role until he eventually took over the Drawing Office, at 76 years of age, when much younger Jean Francois was hired in 1932 as chief design-engineer. 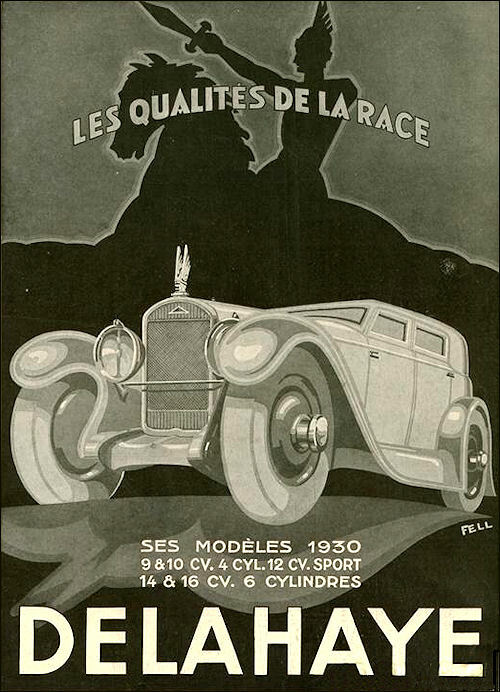 In 1932, Varlet was instructed by Weiffenbach, under direction from majority shareholder Madam Desmarais, Leon Desmarais’ widow, to set up the company’s Racing Department, assisted by Jean Francois. 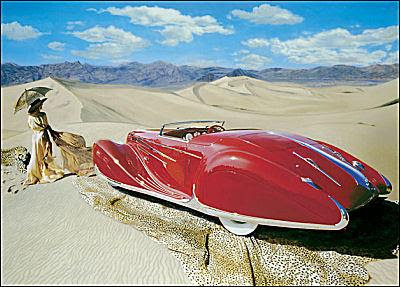 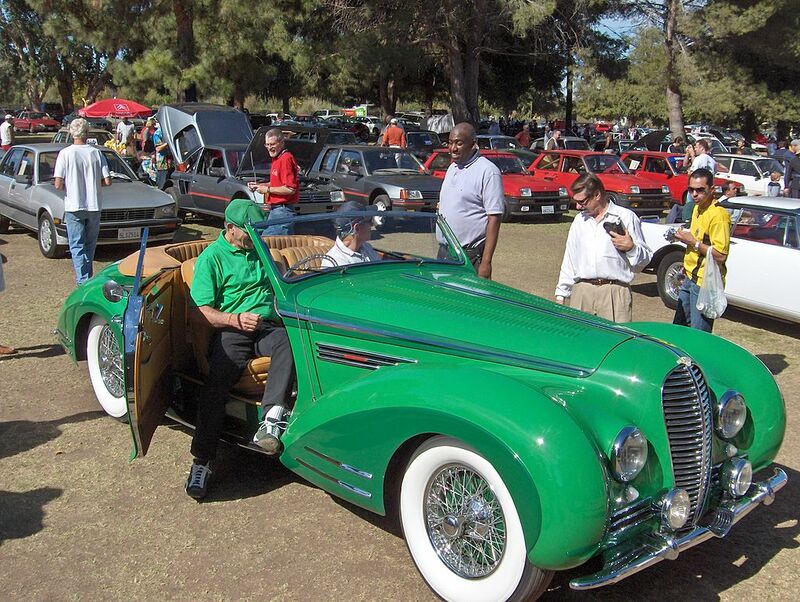 <Club Delahaye archive>. 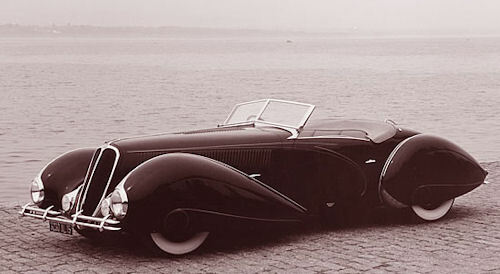 Those who knew him well at the factory affectionately referred to Charles Weiffenbach as “Monsieur Charles”. 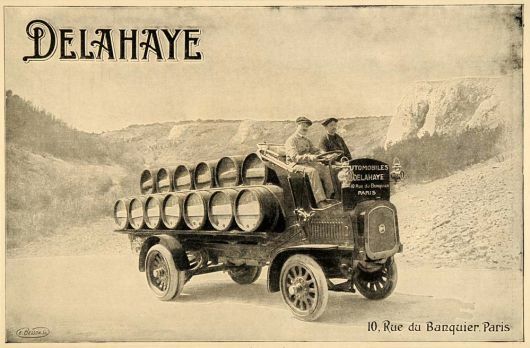 Soon after the new company was formed in 1898, the firm moved its manufacturing from Tours to Paris, into its new factory (a former hydraulic machinery plant that Morane and his brother-in-law Leon Desmarais had inherited from Morane’s father). 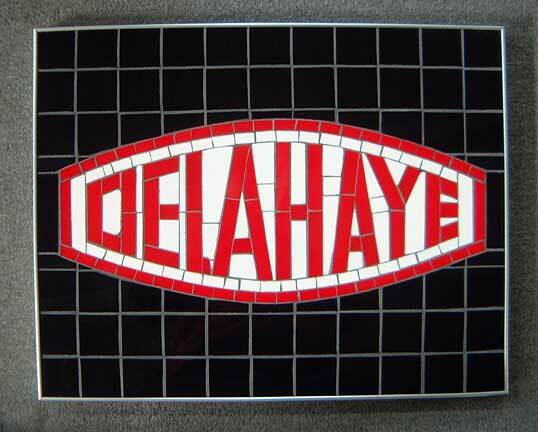 Charles Weiffenbach was named Operations Manager. 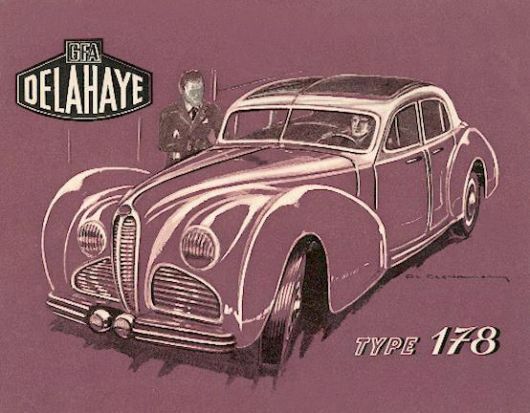 Delahaye would produce three models there, until the close of the 19th century: two twins, the 2.2-litre 4.5 hp (3.4 kW; 4.6 PS) Type 1 and 6 hp (4.5 kW; 6.1 PS) Type 2, and the lighter Type 0 (which proved capable of up to 22 mph (35 km/h)), with a 1.4-liter single rated between 5 and 7 hp (3.7 and 5.2 kW; 5.1 and 7.1 PS). 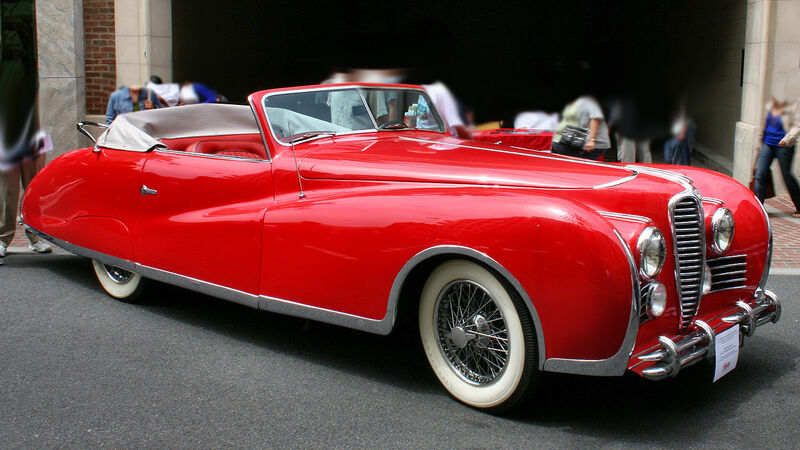 All three had bicycle-style steering, water-cooled engines mounted in the rear, automatic valves, surface carburetors, and trembler coil ignition; drive was a combination of belt and chain, with three forward speeds and one reverse. 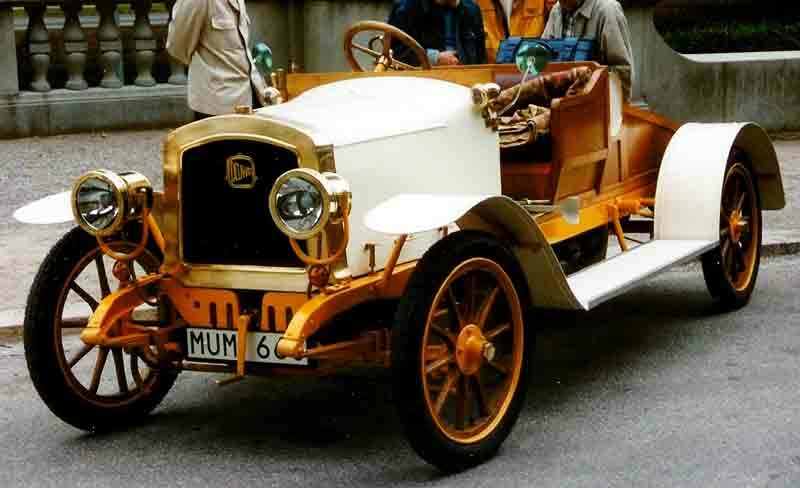 In 1899, Archdeacon piloted an 8 hp (6.0 kW; 8.1 PS) racer in the Nice-Castellane-Nice rally, coming eighth, while teammate Buissot’s 8 hp (6.0 kW; 8.1 PS) was twelfth. 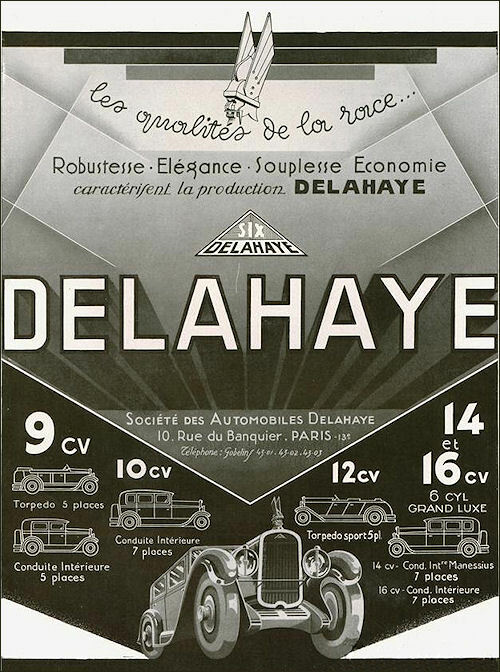 Founder Emile Delahaye retired in 1901, leaving Desmarais and Morane in control; Weiffenbach took over from them in 1906. 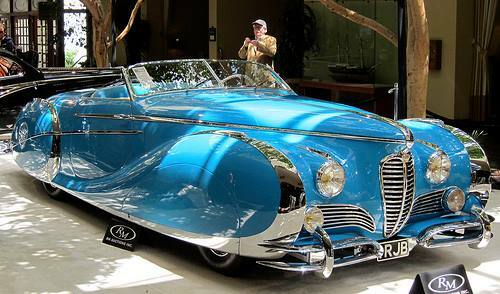 Delahaye’s racing days were over with Emile Delahaye’s death. 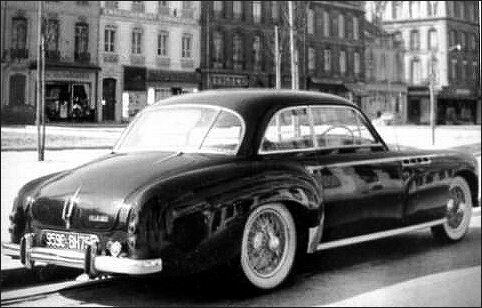 Charles Weiffenbach had no interest in racing, and focused his production on reeponsible motorized automotive chassis, heavy commercial vehicles, and early firetrucks for the French government. 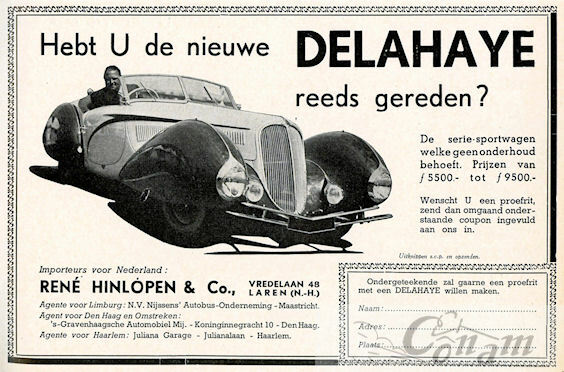 Race-cars had become a thing of the past for Delahaye, until 1933, when Madam Desmarais caused her company to change direction a hundred-and-eighty degree, and return to racing. 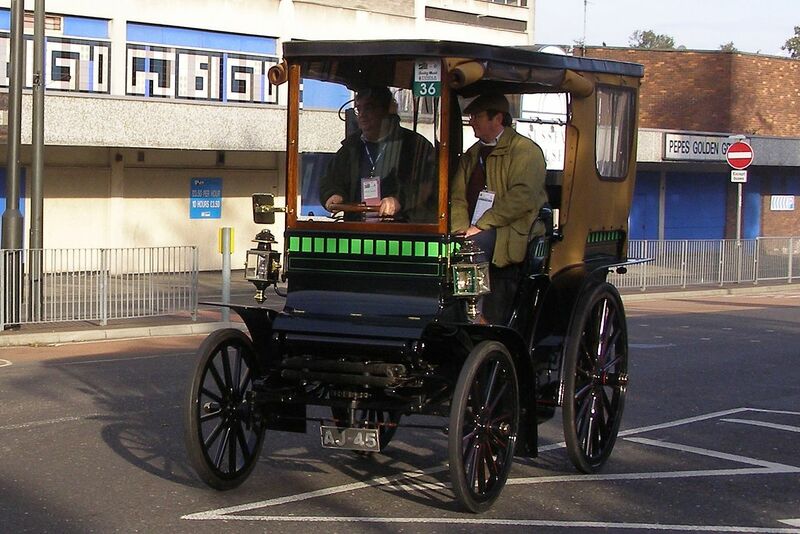 The new 10B debuted in 1902. 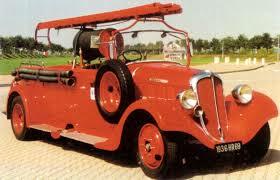 It had a 2,199 cc (134.2 cu in) (100 by 140 mm (3.9 by 5.5 in)) vertical twin rated 12/14 hp by RAC, mounted in front, with removable cylinder head, steering wheel (rather than bicycle handles or tiller), and chain drive. 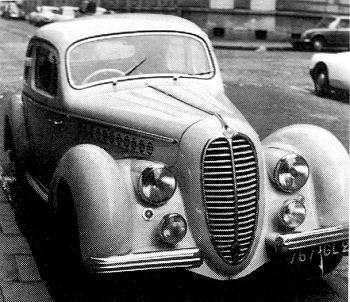 Delahaye also entered the Paris-Vienna rally with a 16 hp (12 kW; 16 PS) four; Pirmez was thirty-seventh in the voiturette class. 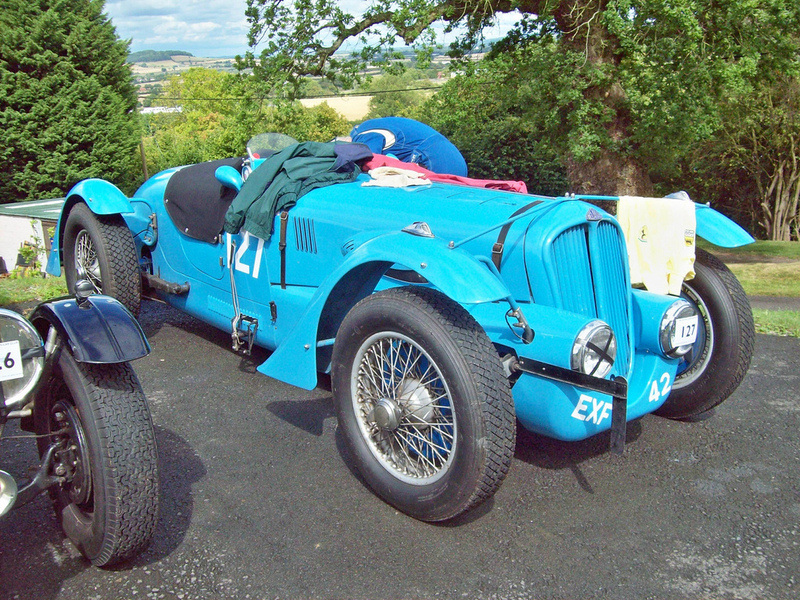 At the same year’s Ardennes event, Perrin’s 16 hp (12 kW; 16 PS) four came tenth. 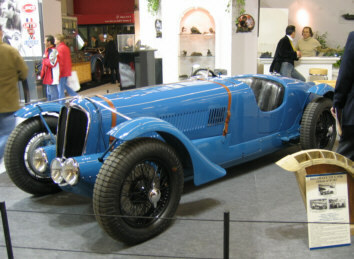 Delahaye’s first production four, the Type 13B, with 24/27 hp 4.4-litre, appeared in 1903. 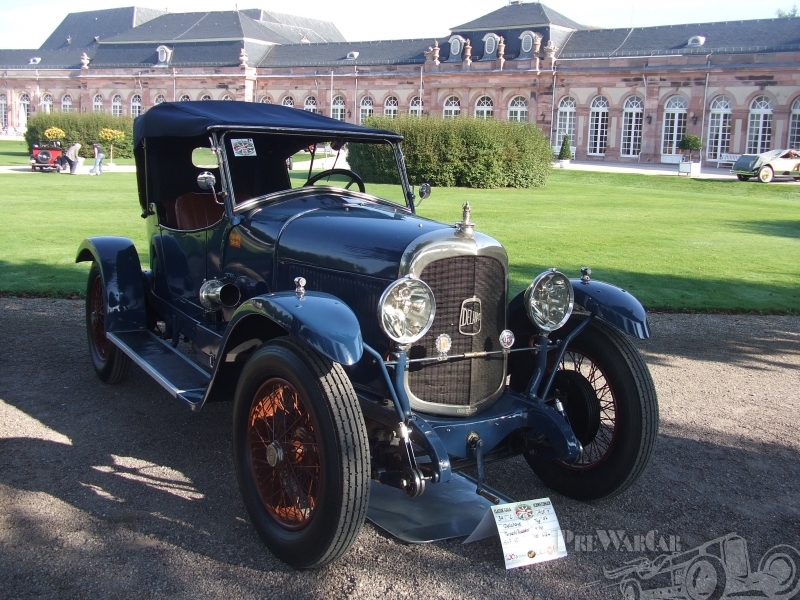 The model range expanded in 1904, including the 4.9-litre 28 hp (21 kW; 28 PS) four-cylinder Type 21, the mid-priced Type 16, and the two-cylinder Type 15B. 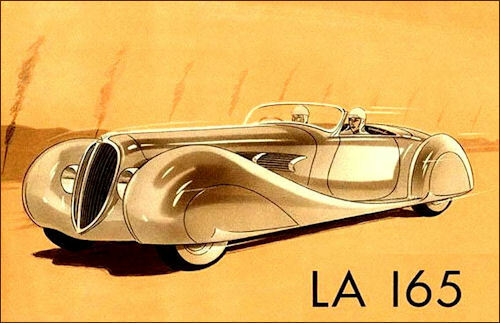 These were joined in 1905 by a chain-driven 8-litre luxury model, one of which was purchased by King Alfonso. 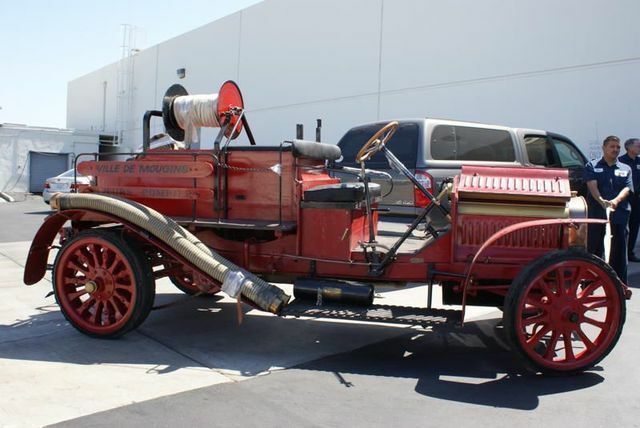 All 1907 models featured half-elliptic springs at the rear as well as transverse leaf springs, and while shaft drive appeared that year, chain drive was retained on luxury models until 1911. 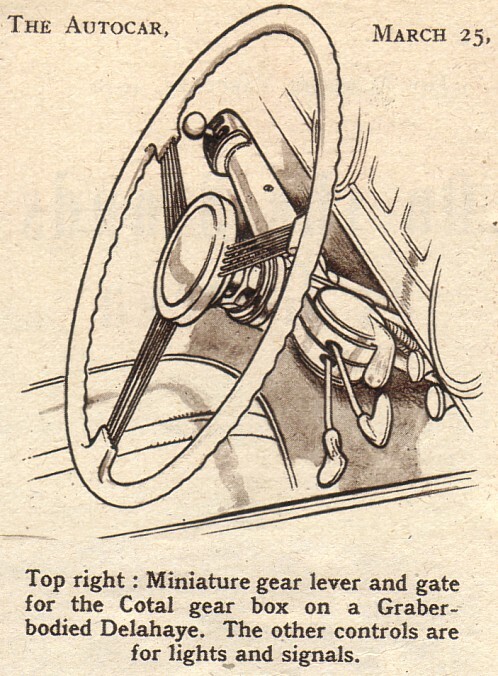 In 1908, the Type 32 was the company’s first to offer an L-head monoblock engine. 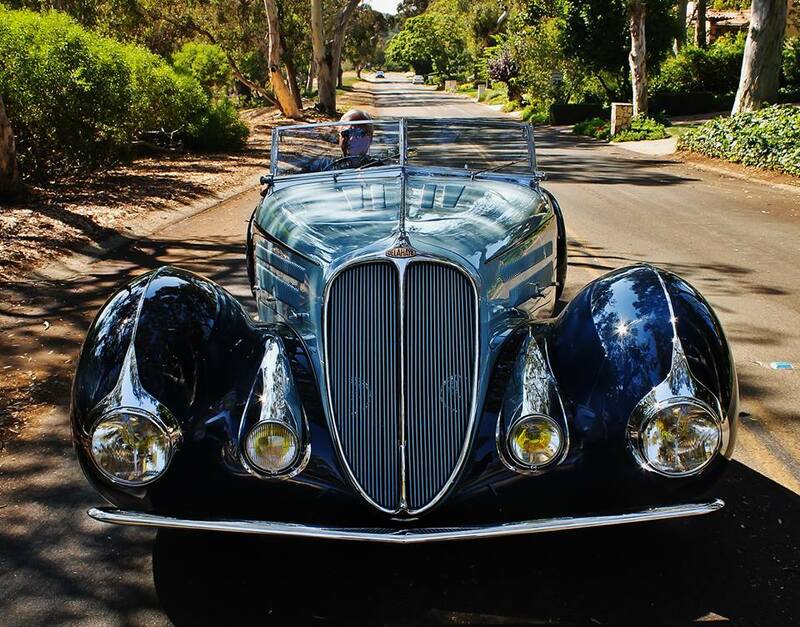 Delahaye invented and pioneered the V6 engine in 1911, with a 30° 3.2-litre twin-cam, in the Type 44; the invention is credited to Amadee Varlet, Delahaye’s chief design-engineer at the time. 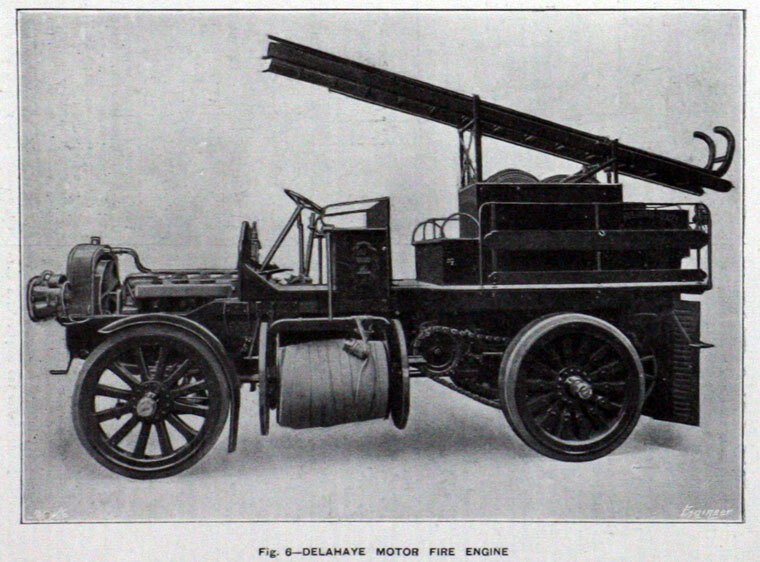 The Type 44 was not a success and production stopped in 1914. 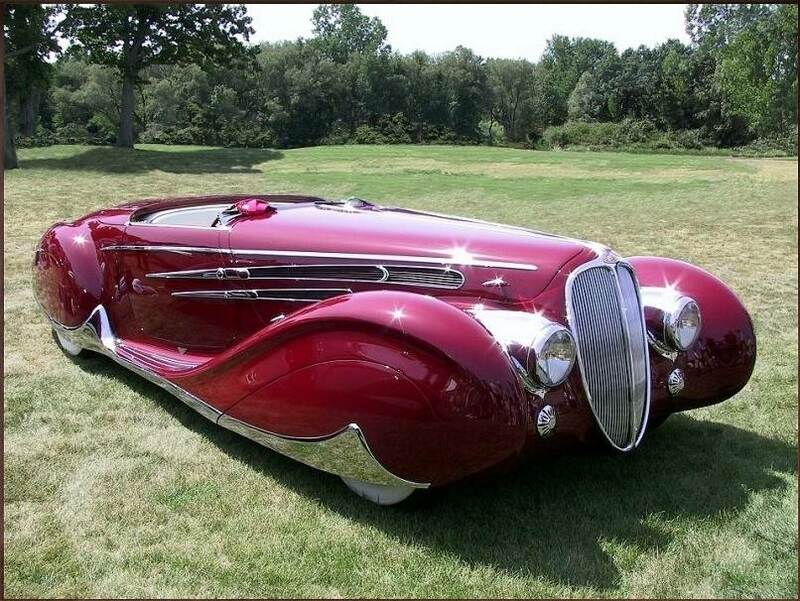 It had been designed by Amadee Varlet, who had joined Delahaye at the same time that Charles Weiffenback was hired by Emile Delahaye, in 1898. 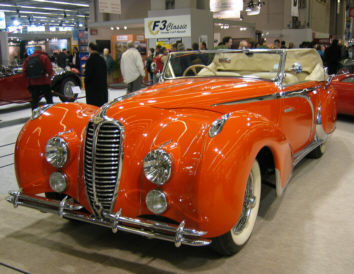 The Type 44 was the only V-6 engine ever made by Delahaye, and it was the last time the company used a twin-cam engine. 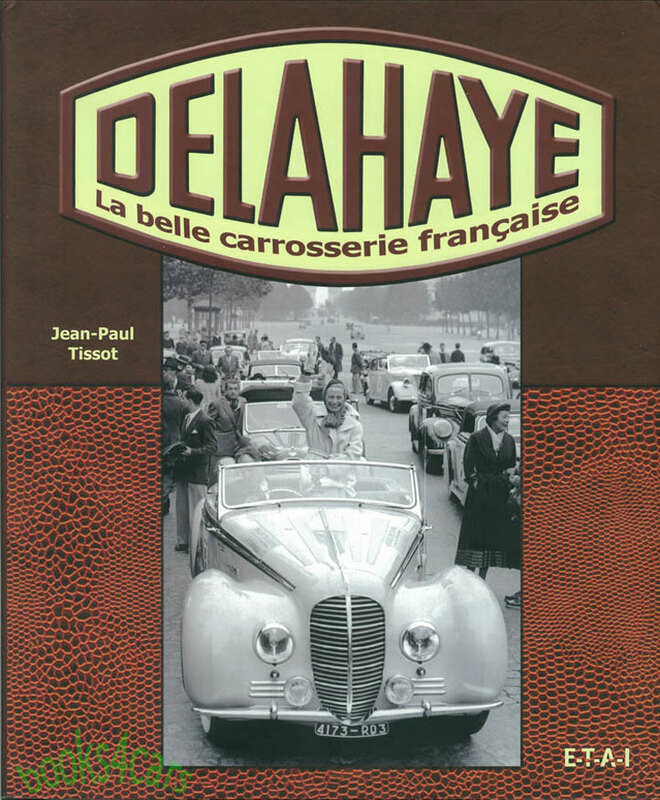 Delahaye engineer Amadee Varlet designed the Delahaye “Titan” marine engine, an enormous cast-iron four cylinder engine that was fitted into purpose-built speedboat “La Dubonnet” which briefly held the World Speed Record on Water. 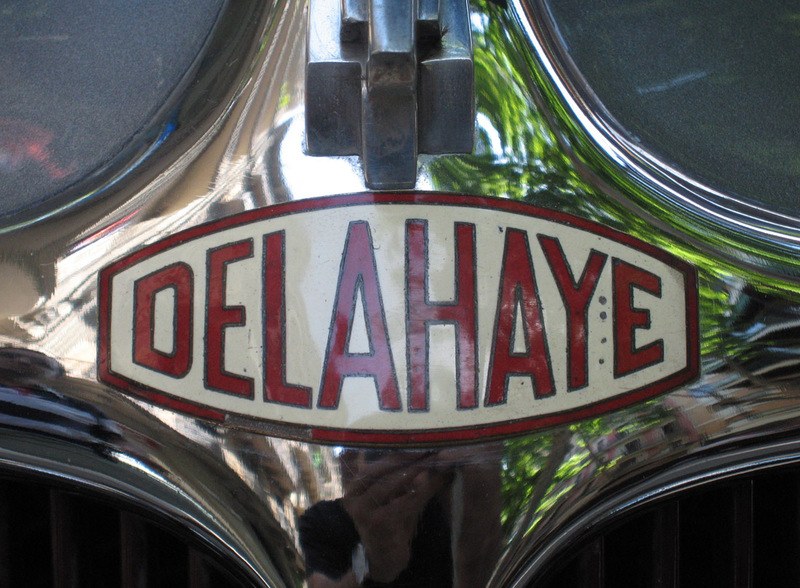 With the ‘Titan’ Amadee Varlet had invented the multi-valve twin-cam engine in 1905, the same year that Emile Delahaye died. 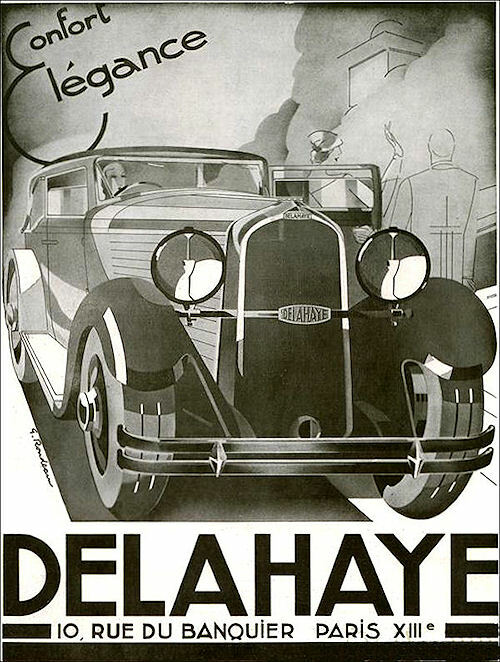 At the Paris factory, Delahaye continued to manufacture cars, trucks, and a few buses. 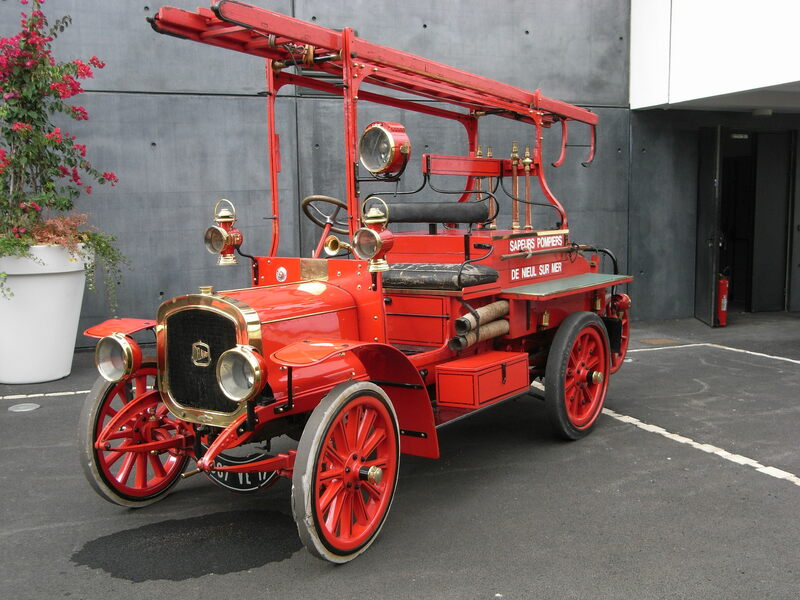 By the end of World War I, their major income was from their truck business that included France’s firetrucks. 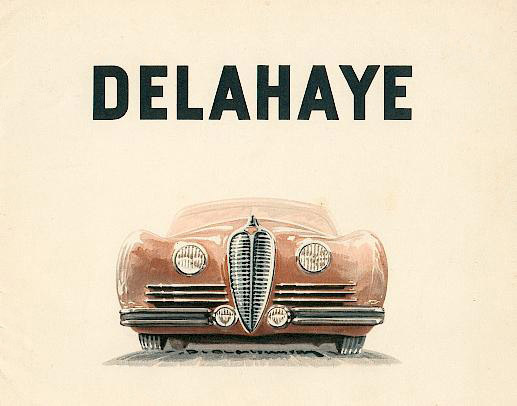 After the war, Delahaye switched to a modest form of assembly line production, following the example of Ford, hampered by the “extensive and not particularly standardized range” of cars for Chenard et Walker, and itself, and farm machines for the FAR Tractor Company. 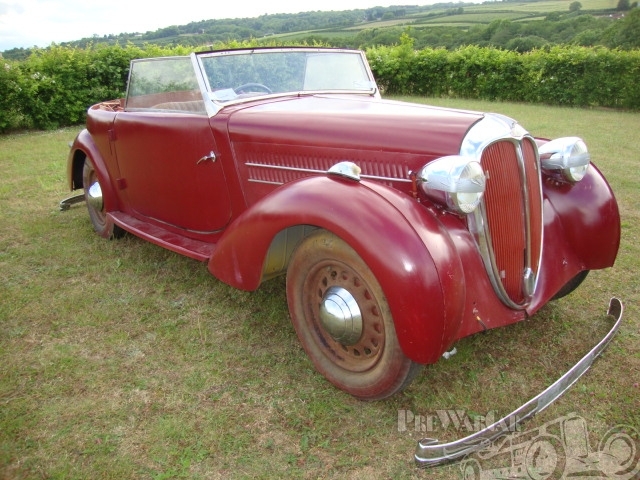 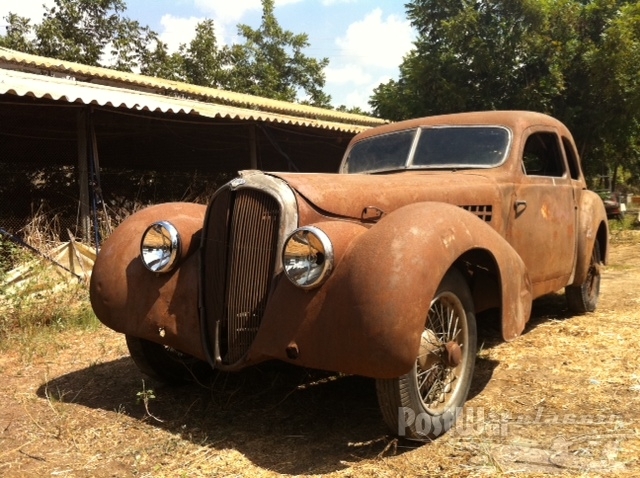 The collaboration with FAR Tractor Company and Chenard-Walcker did not last long. 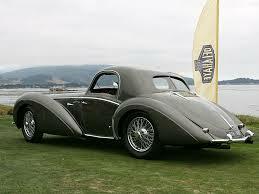 This continued until continually reduced sales volume made a change necessary, for the company to survive. 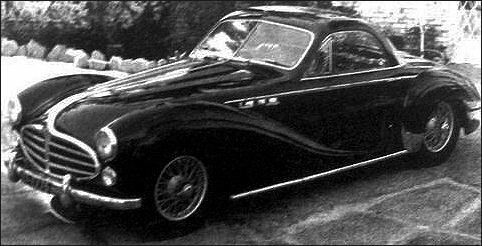 It has been alleged that Monsieur Charles met with his friend, competitor Ettore Bugatti, to seek his opinion on turning Delahaye around. 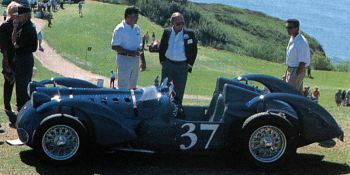 Whether or not this meeting actually occurred, it is on record that Madam Leon Desmarais, the majority shareholder and Leon Desmarais’ widow, instructed Charles Weiffenbach to come up with a new higher quality automotive-chassis line with vastly improved horsepower, and re-establish a racing department. 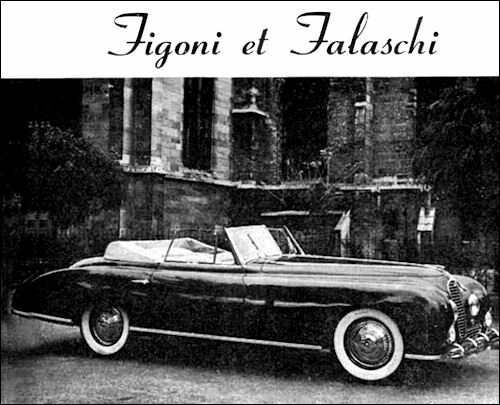 That pivotal decision was made in 1932, the year that Jean Francois was hired. 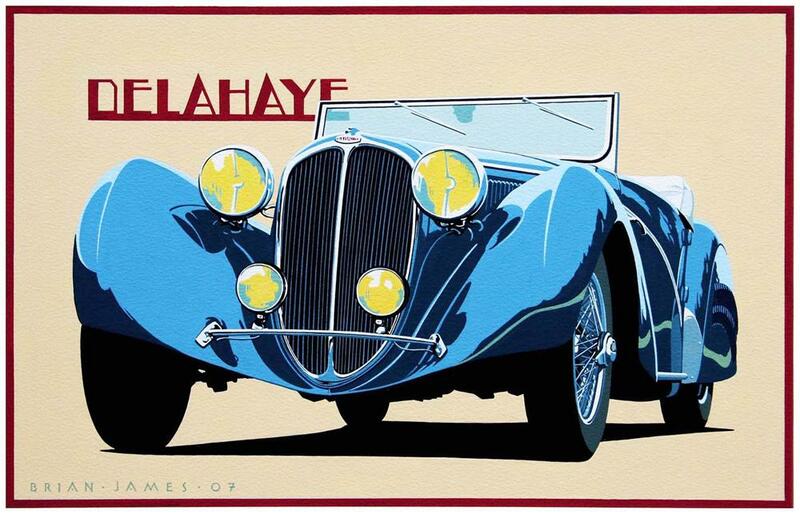 By 1933, Delahaye was back in the racing game, and promptly went about winning events and setting records. 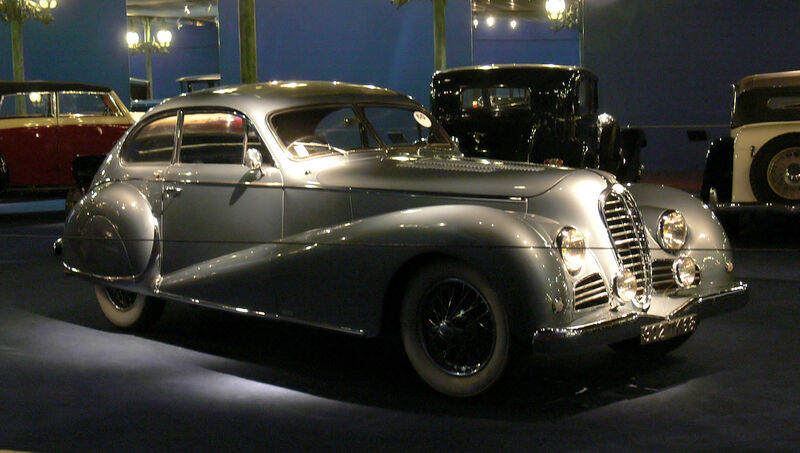 At the 1933 Paris Salon, Delahaye showed the Superluxe, with a 3.2-litre six, transverse independent front suspension, and Cotal preselector or synchromesh-equipped manualtransmission. 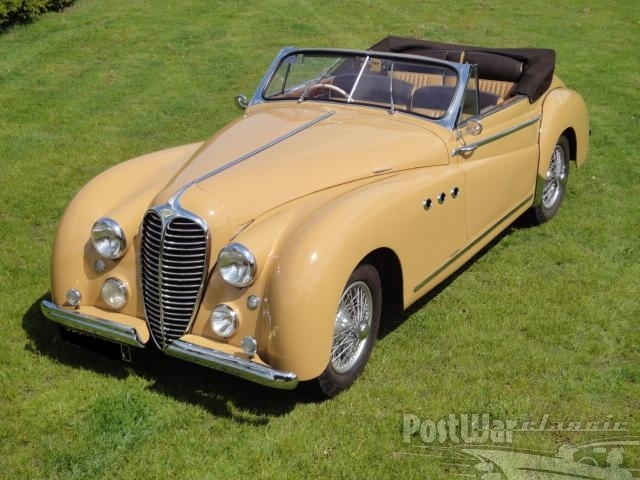 It would be accompanied in the model range by a 2,150 cc (131 cu in) four (essentially a cut-down six), and a sporting variant, the 18 Sport. 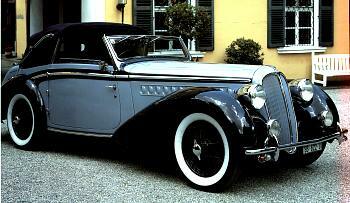 In 1934, Delahaye set eighteen class records at Montlhéry, in a specially-prepared, stripped and streamlined 18 Sport. 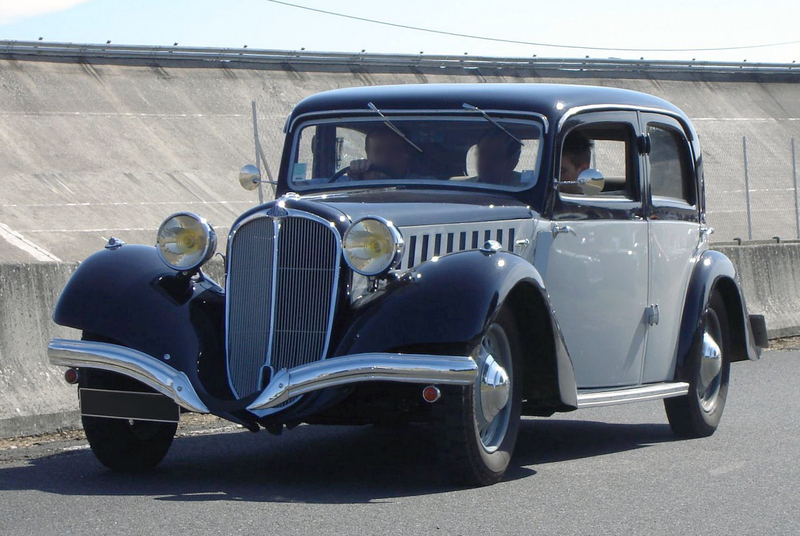 They also introduced the 134N, a 12cv car with a 2.15-litre four-cylinder engine, and the 18cv Type 138, powered by a 3.2-litre six — both engines derived from their successful truck engines. 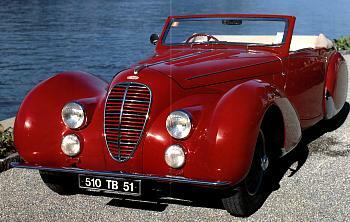 In 1935, success in the Alpine Trial led to the introduction of the sporting Type 135 “Coupe des Alpes”. 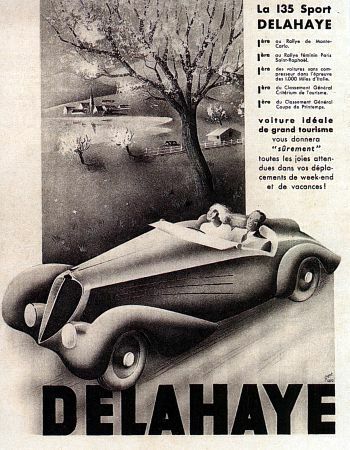 By the end of 1935, Delahaye had won eighteen minor French sports car events and a number of hill-climbs, and came fifth at Le Mans. 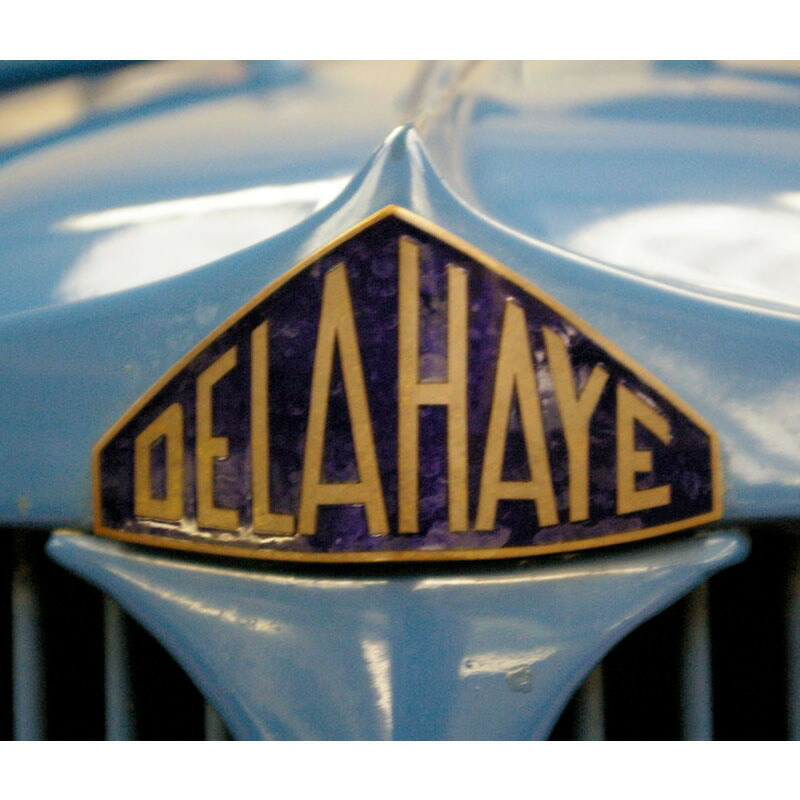 Racing success brought success to their car business as well, enough for Delahaye to buy Delage in 1935. 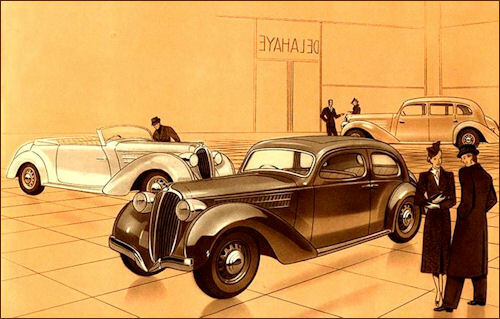 Delage cars continued in production from 1935 to 1951, and were finally superseded by the Type 235, a modestly updated 135. 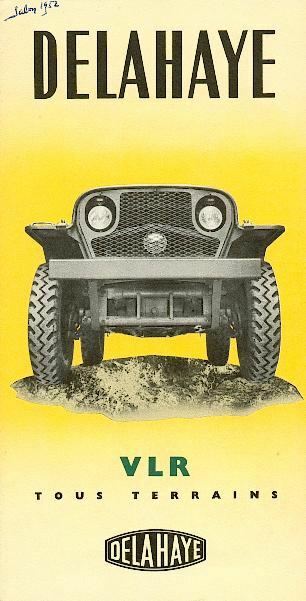 The truck business continued to thrive. 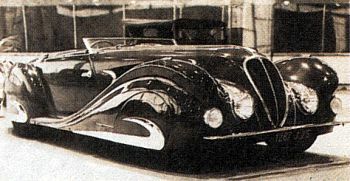 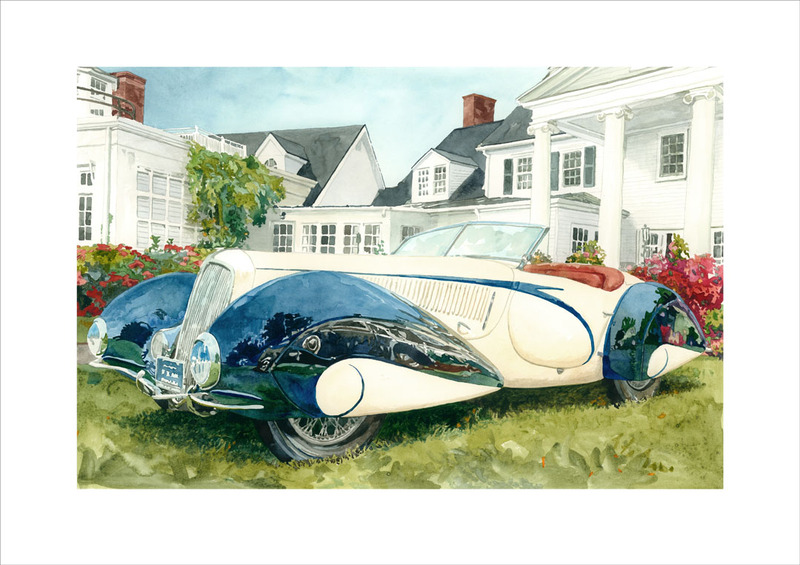 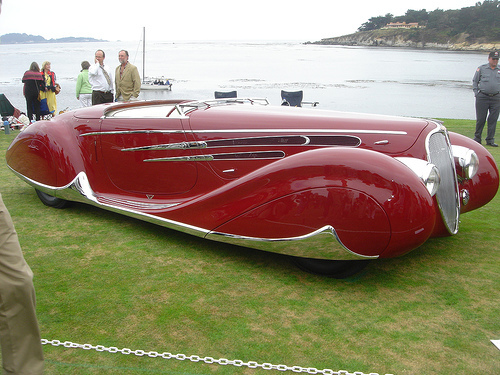 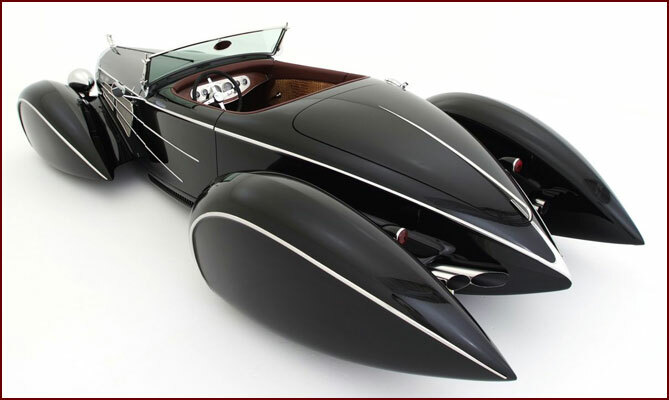 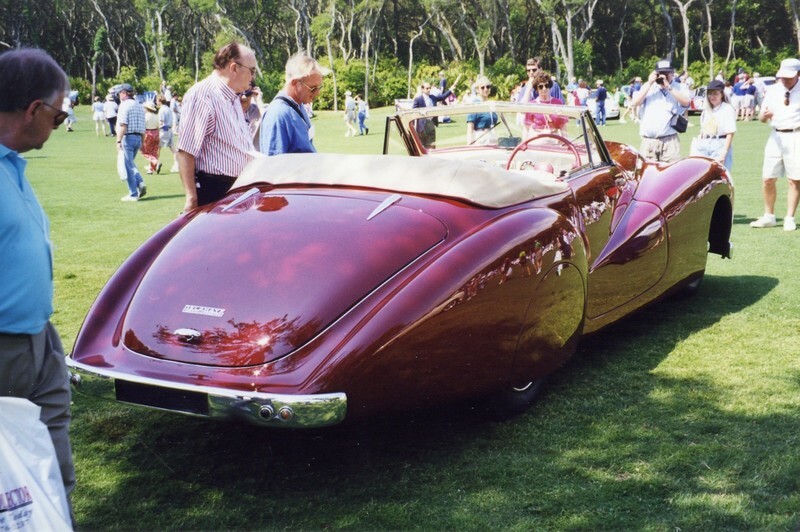 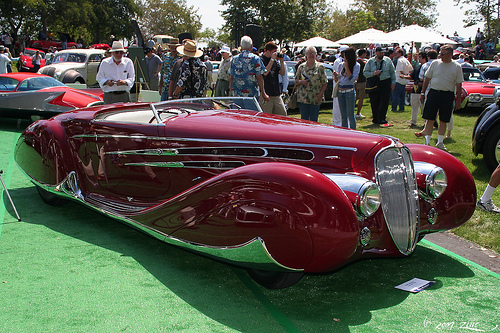 Some of the great coachbuilders who provided bodies for Delahayes include Figoni et Falaschi, Chapron, and Letourneur et Marchand, and Joseph Saoutchik, as well as Guillore, Faget-Varlet, Pourtout, and a few others less well known. 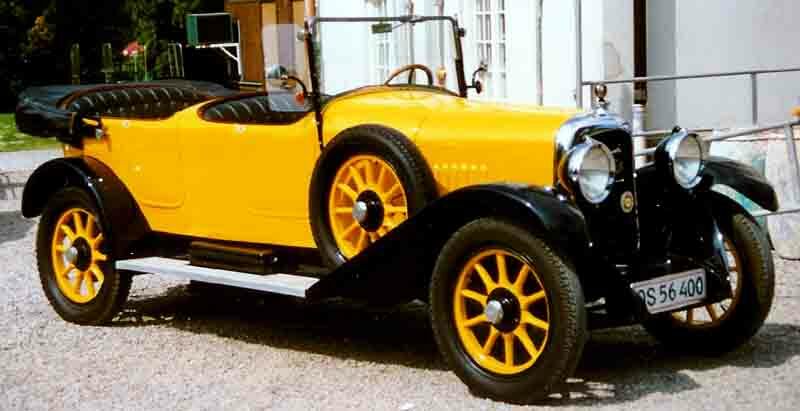 American heiress Lucy O’Reilly Schell approached the company with an offer to pay the development costs to build short “Competition Court” 2.70- metre wheelbase Type 135 cars to her specifications for rallying. 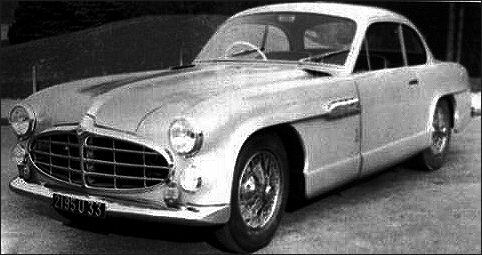 Sixteen were produced, most having been uniformly bodied by “Lacanu” a small coachbuilding firm owned and operated by Olivier Lecanu-Deschamps. 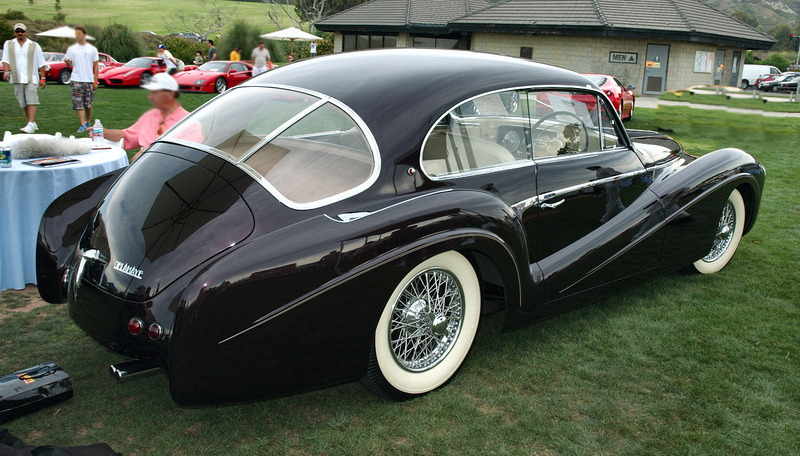 Joseph Figoni also bodied one of these chassis. 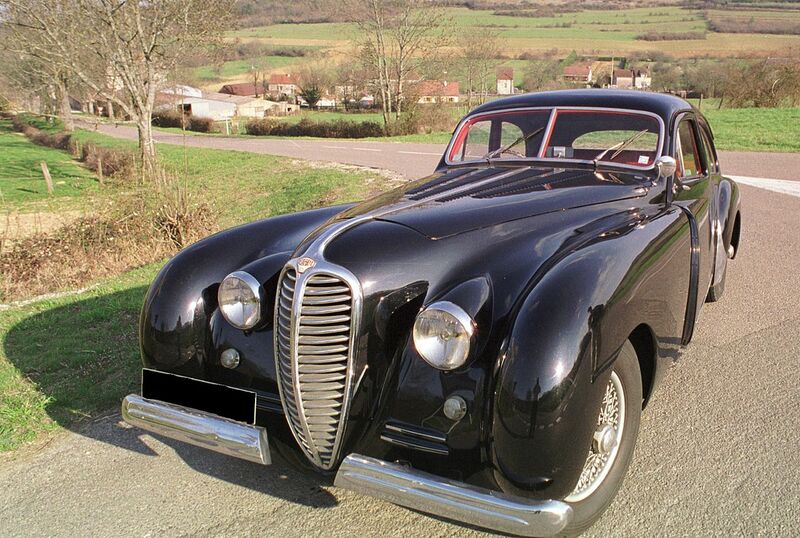 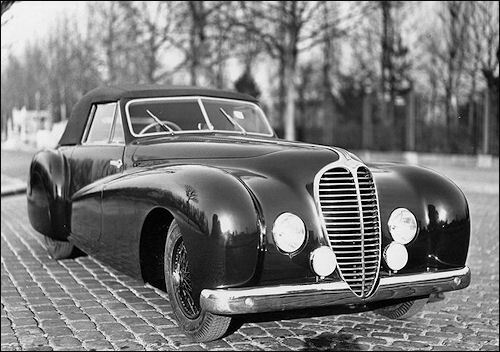 Lecanu could respond quickly, build economically, and was favored by Delahaye for its race-cars. 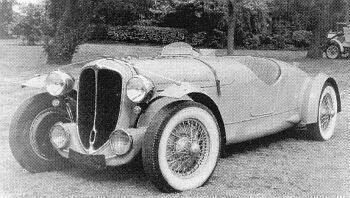 All four Type 145 race-cars were bodied by Lecanu, to a weirdly homely design by Jean Francois. 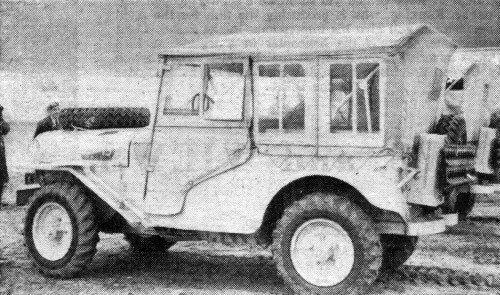 Lecanu both designed and built the last of the four Type 145 bodies, this one on chassis 48775. 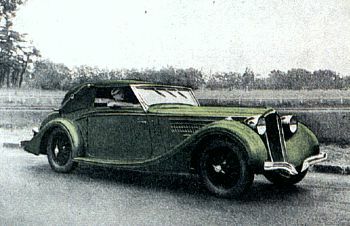 In 1937, René Le Bègue and Julio Quinlin won the Monte Carlo Rally driving a Delahaye. 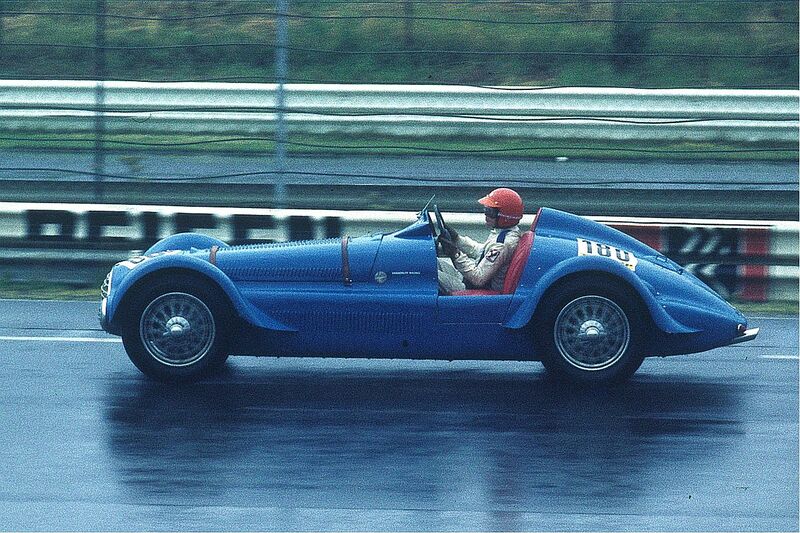 Delahaye also ran first and second at Le Mans. 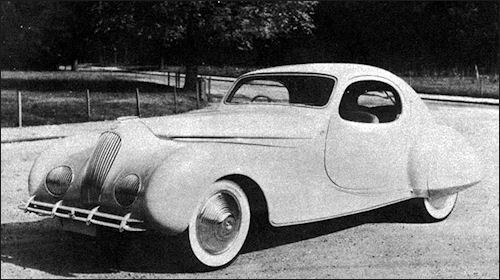 Against the government-sponsored juggernauts Mercedes-Benz and Auto Union, Delahaye brought out the Type 145, powered by a new, complicated 4½-liter V12 with three camshafts located in the block, with pushrod-actuated valves and four overhead rocker-shafts, dual Bosch magneto ignition, and triple Stromberg carburettors. 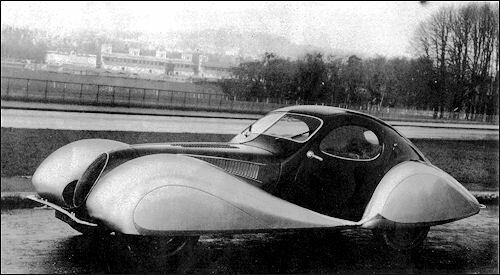 Called “Million Franc Delahaye” after a victory in the Million Franc Race, the initial Type 145, chassis 48771, was driven by René Dreyfus to an average speed 91.07 mph (146.56 km/h) over 200 kilometres (120 mi) at Montlhéry in 1937, earning a Fr 200,000 prize from the government. 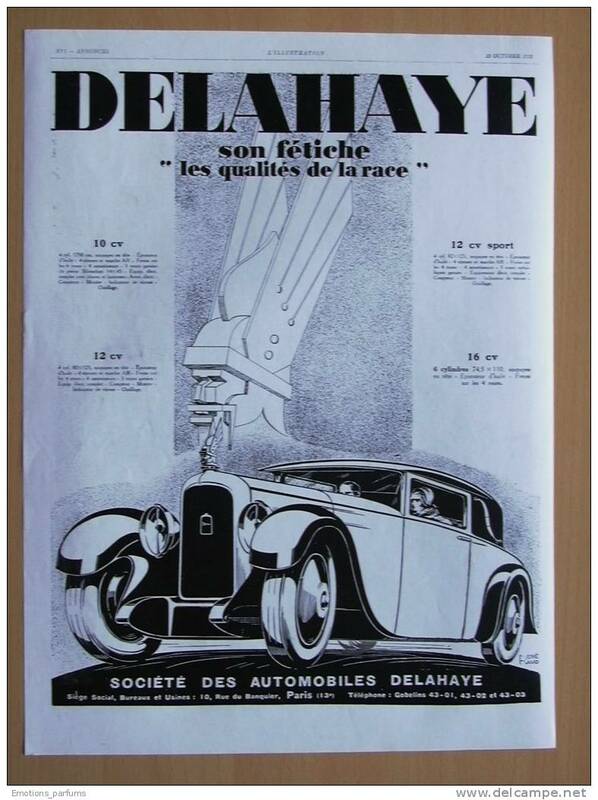 Dreyfus also scored a victory in the Ecurie Bleu Type 145, again number 48771 at Pau, relying on superior fuel economy to beat the more powerful Mercedes-Benz W154, in 1938. 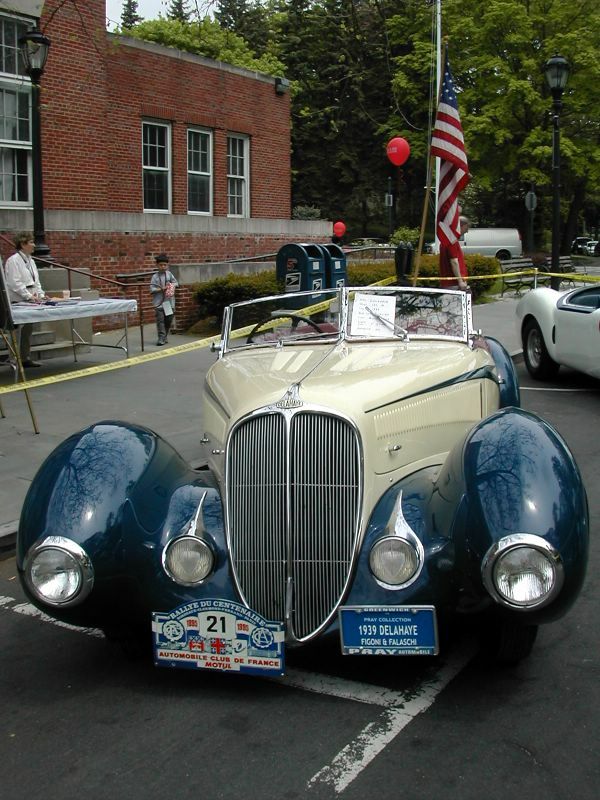 Third place in the same race was claimed by Gianfranco Comotti, driving Delahaye Type 145 number 48775. 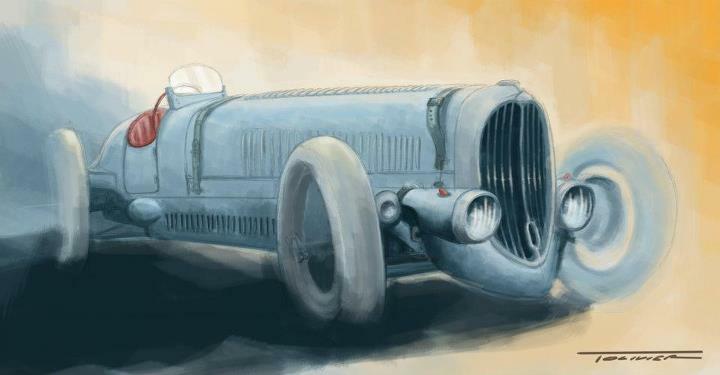 Dreyfus brought his Type 145 number 48771 to its second grand-prix win at Cork, in Ireland, but the German teams had boycotted this event, being another between-the-houses race where they could not exploit their superior power. 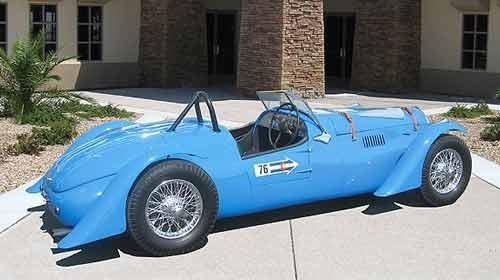 Type 135s also won the Paris-Nice and Monte Carlo Rallys, and LeMans, that year, while a V12 model (Type 145 number 48773) was fourth in the Mille Miglia. 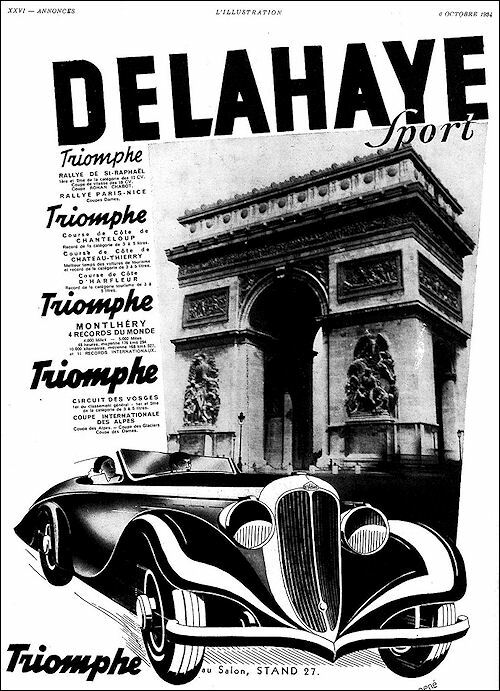 These victories combined with French patriotism to create a wave of demand for Delahaye cars, up until the German occupation of France during World War II. 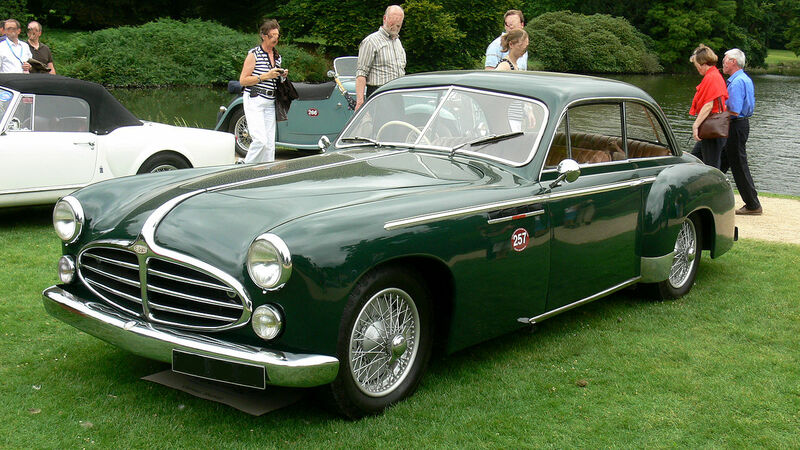 The Type 145 was also the basis for five grand-touring Type 165s., three of which exist today. 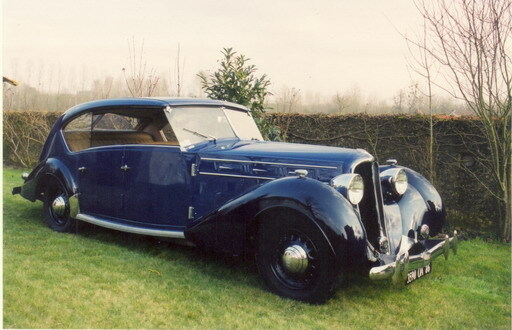 The other two were demolished during the second World war. 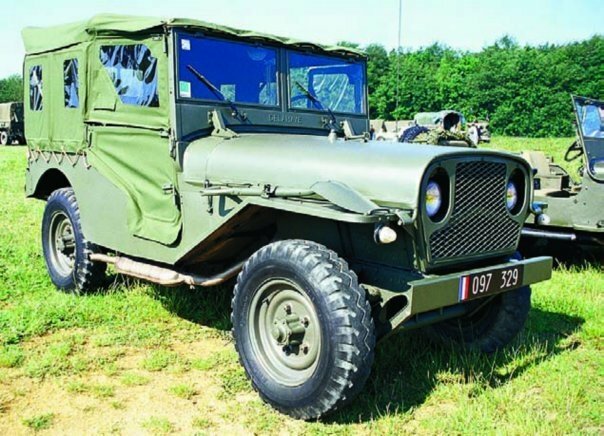 In early 1940, one hundred Type 134N and Type 168 chassis were (Renault-bodied) as military cars built under contract for France’s Army. 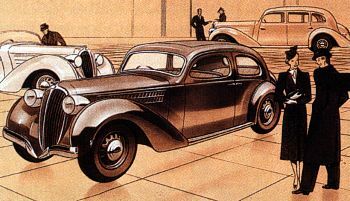 Private sales had been ordered by the government to cease in June, 1939, but small numbers of cars continued to be built for the occupying German forces until at least 1942. 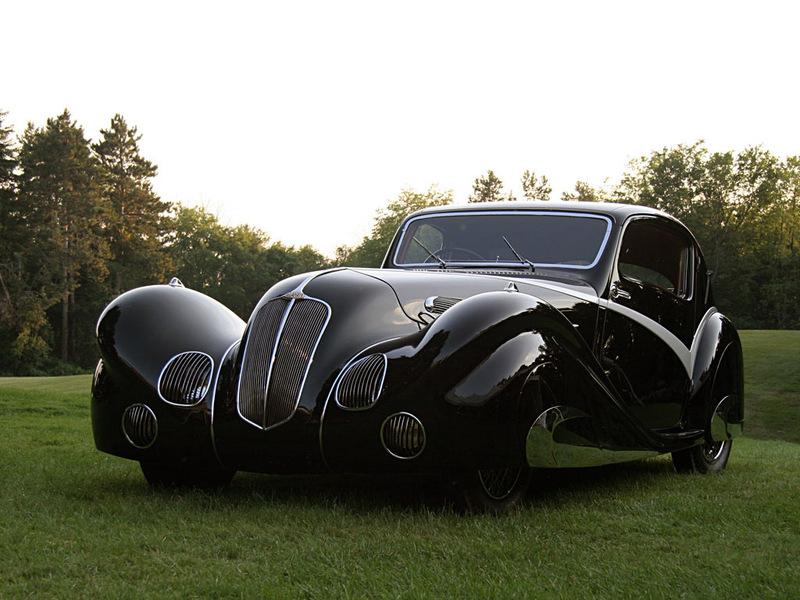 After World War II, in late 1945, production of the Type 135 was resumed, all with new styling by Philippe Charbonneaux. 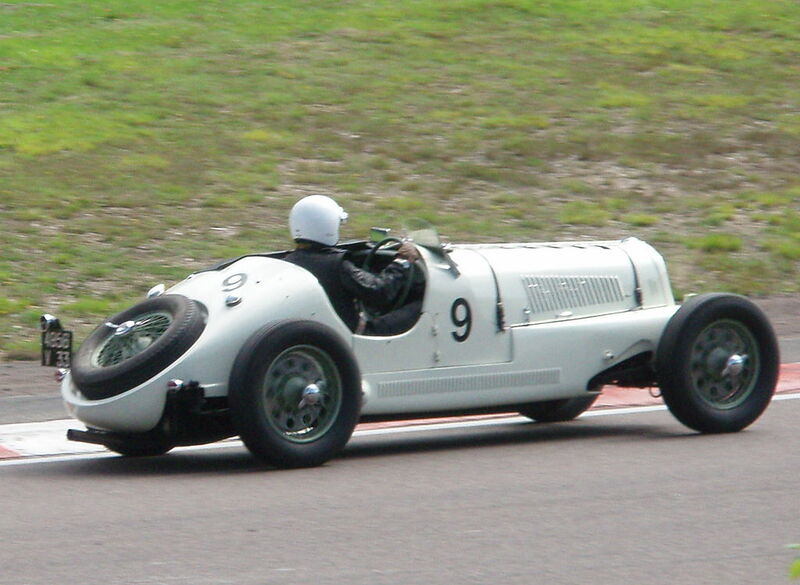 The Type 175, with a 4.5-litre inline overhead-valve six, was introduced in 1948; this, and the related Type 178 and 180, proved unsuccessful.The Type 175, 178 and 180 were replaced by the Type 235 in 1951, with an up-rated 135 engine producing 152 hp (113 kW; 154 PS). 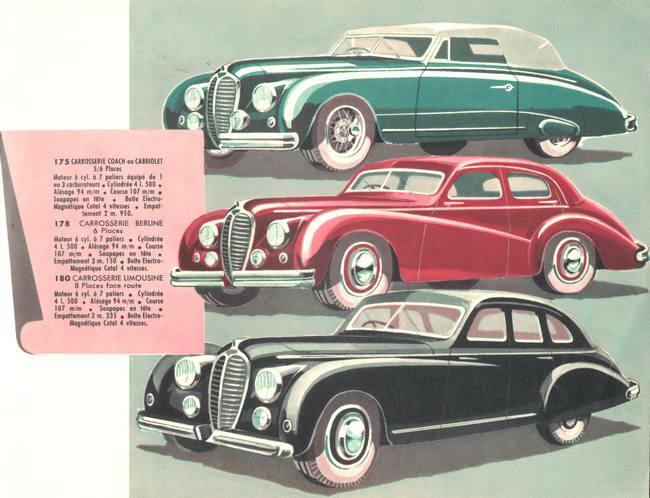 After the war, the depressed French economy and an increasingly punitive luxury tax regime aimed at luxurious non-essential products, and cars with engines above 2-litres, made life difficult for luxury auto-makers. 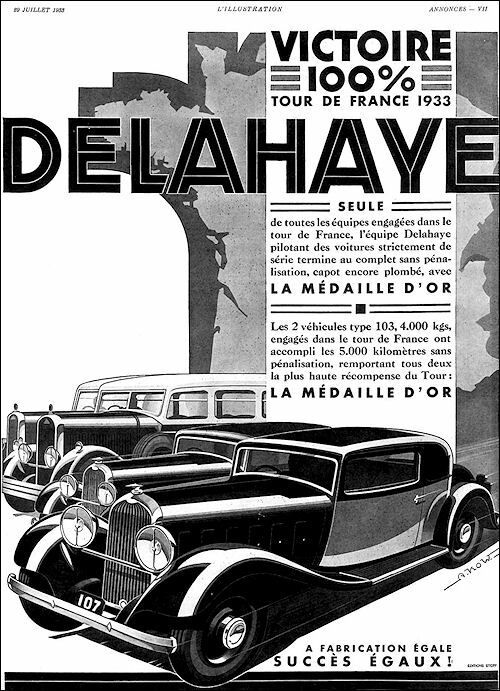 Like all the principal French automakers, Delahaye complied with government requirements in allocating the majority of its vehicles for export, and in 1947 88% of Delahaye production was exported (compared to 87% of Peugeot and 80% of Talbot output), primarily to French colonies, including those in Africa. 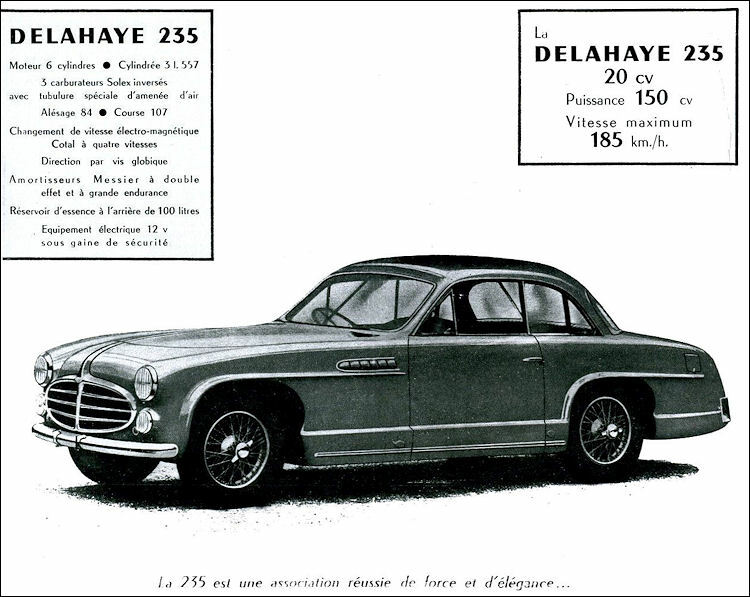 Nevertheless, Delahaye volumes, with 573 cars produced in 1948 (against 34,164 by market-leader Citroen), were unsustainably low. 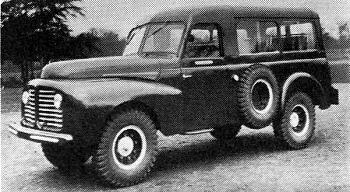 A 1-ton capacity light truck sharing its 3.5-litre six-cylinder overhead-valve engine with the company’s luxury cars (albeit with lowered compression ratio and reduced power output) made its debut at the 1949 Paris Motor Show. 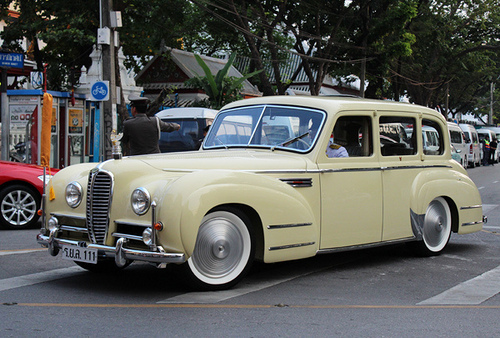 During the next twelve months, this vehicle, the Type 171, spawned several brake-bodied versions, the most interesting of which were the ambulance and 9-seater familiale variant. 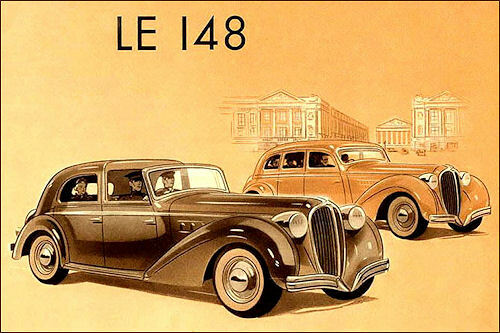 The vehicle’s large wheels and high ground clearance suggest it was targeted at markets where many roads were largely dust and mud, and the 171 was, like the contemporary Renault Colorale which it in some respects resembled, intended for use in France’s African colonies. 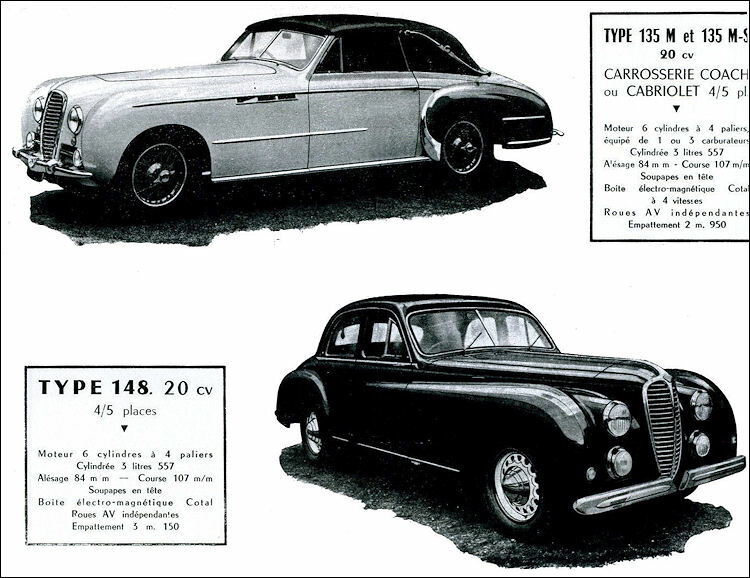 The vehicle also enjoyed some export success in Brazil, and by 1952 the Type 171 was being produced at the rate of approximately 30 per month. 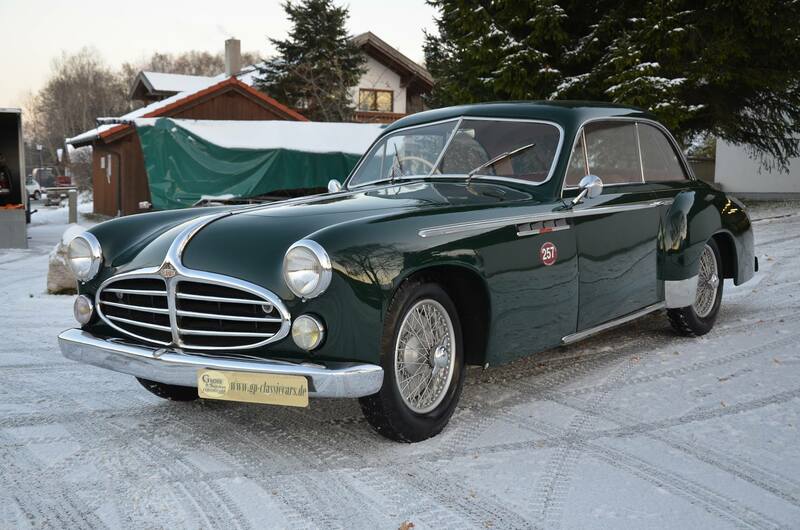 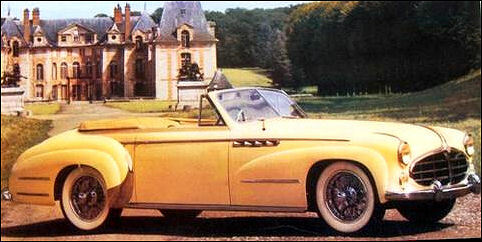 As passenger car sales slowed further, the last new model, a 2.0-litre Jeep-like vehicle known as VLRD (Véhicule Léger de Reconnaissance (Delahaye)), sometimes known as the VRD, or VLR, was released in 1951. 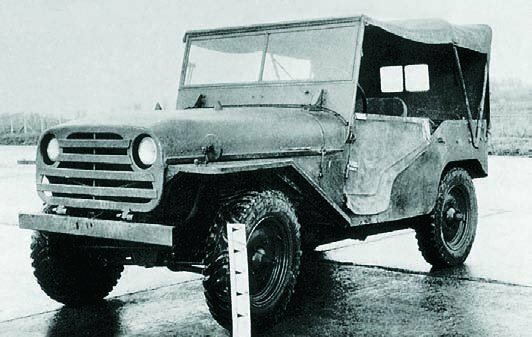 The French army believed that this vehicle offered a number of advantages over the “traditional” American built Jeep of the period. 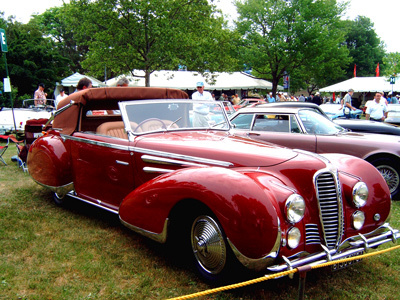 It was in 1951 that Delahaye discontinued production of the Types 175, 178 and 180. 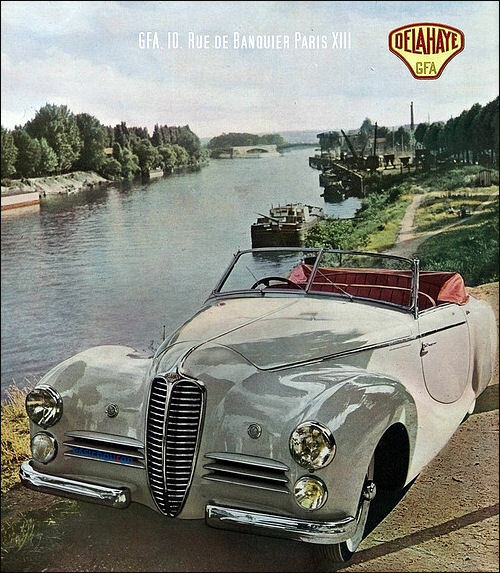 During 1953 the company shipped 1,847 VRDs as well as 537 “special” military vehicles: the number of Delahaye- or Delage-badged passenger cars registered in the same year was in that context near negligible, at 36. 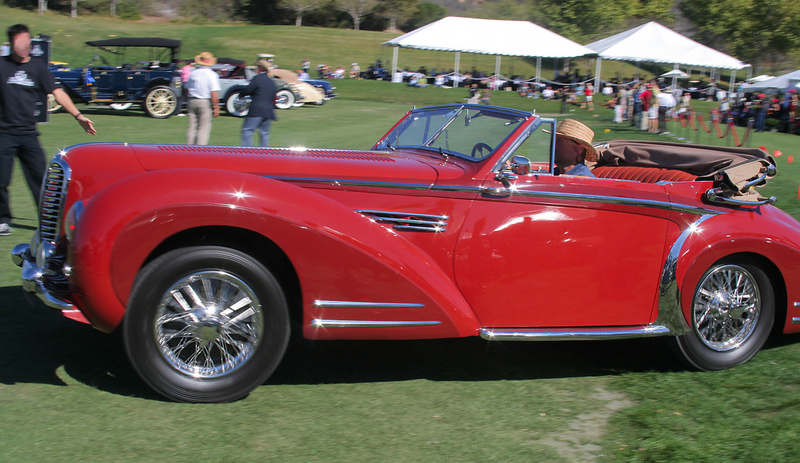 Financial difficulties created by an acute shortage of wealthy car buyers intensified. 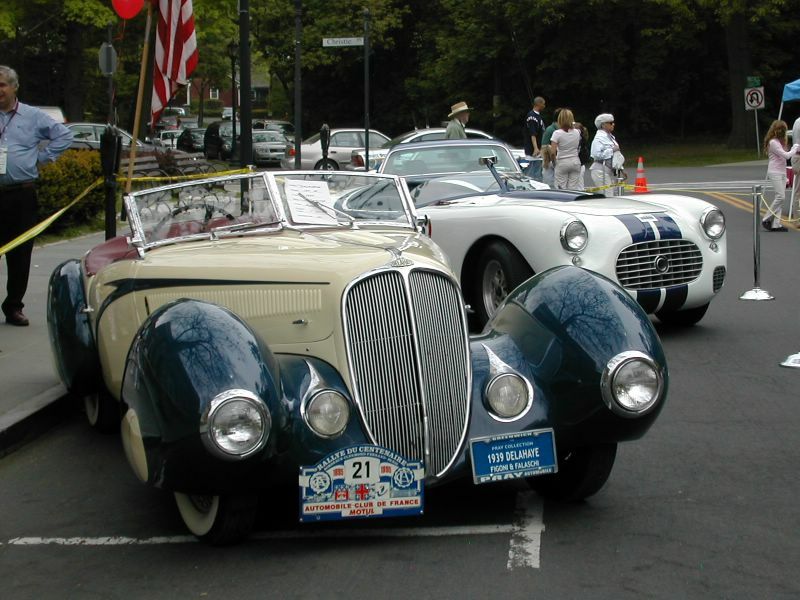 Delahaye’s main competitor, Hotchkiss, managed to negotiate a licensing agreement with American Motors, and obtained sanction to manufacture its JEEP in France. 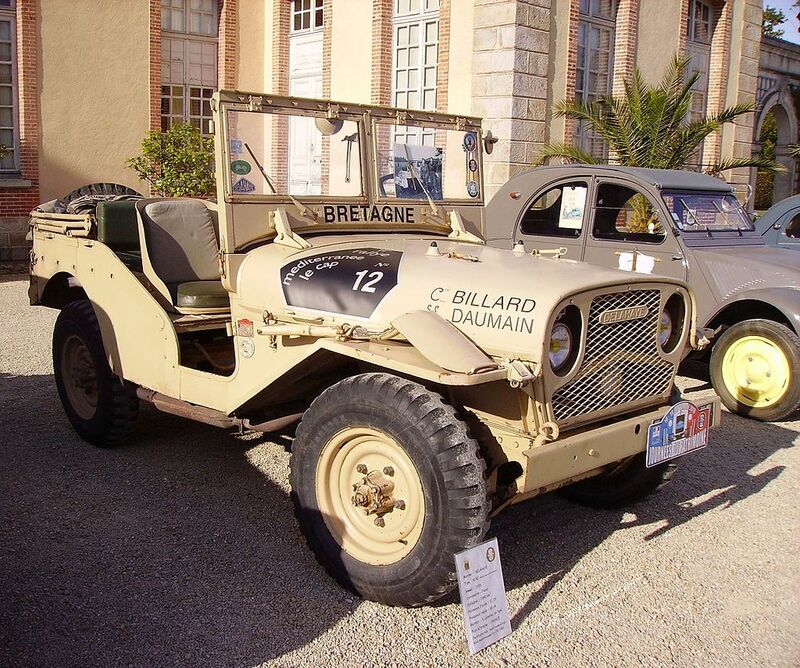 The French army had learned to appreciate the simpler machine, available at a much lower price, and cancelled Delahaye’s contract for the more sophisticated VLR reconnaissance vehicle, dealing a hard blow to Delahaye. 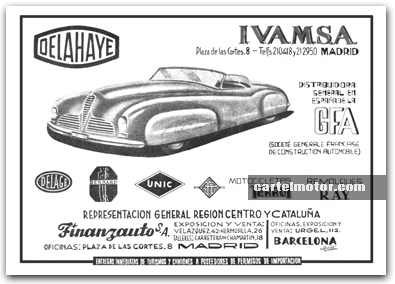 In August 1953 the company laid off more than 200 workers and salaried employees. 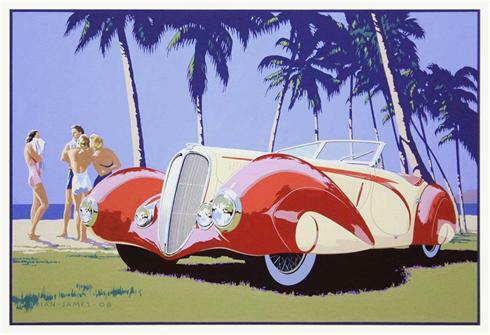 Rumours of management discussions with Hotchkiss over some sort of coming together proved well founded. 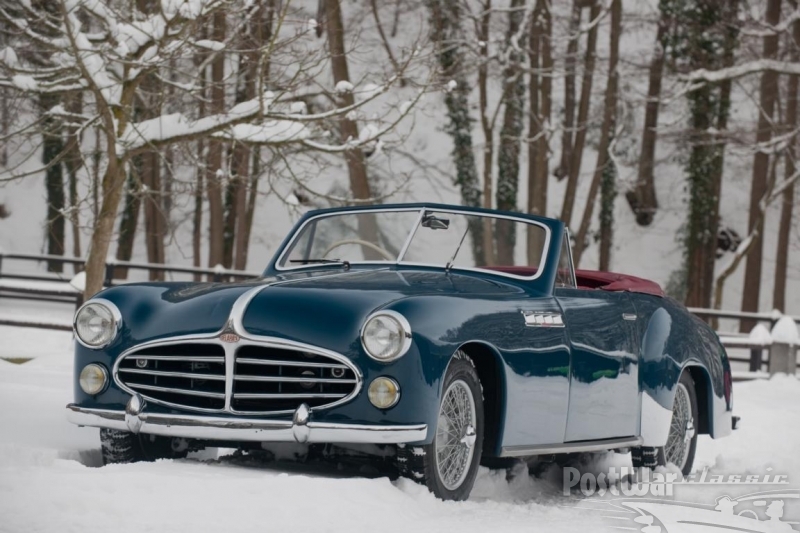 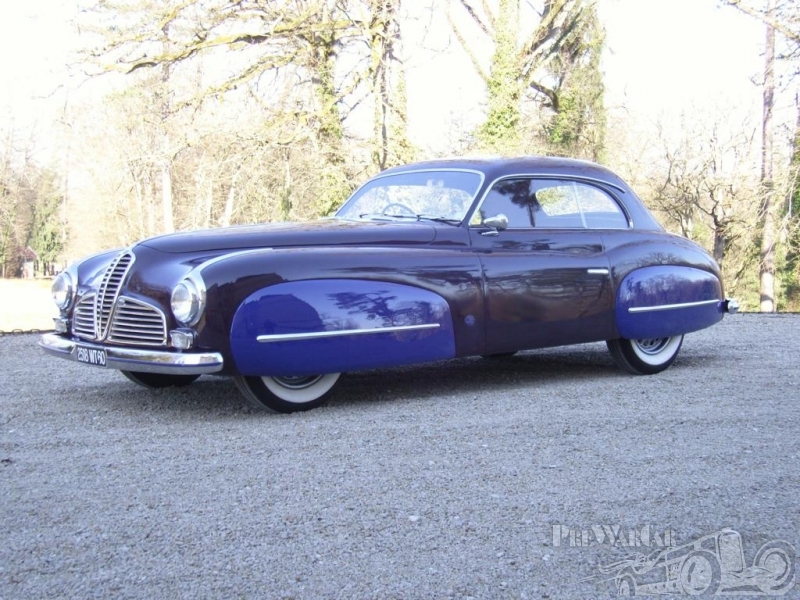 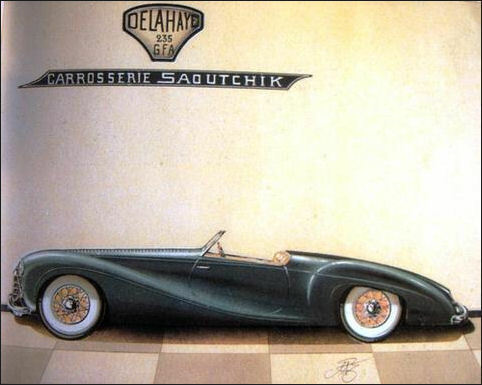 Hotchkiss were struggling with the same problems, but it was hoped that the two businesses might prove more resilient together than separately, and an agreement was signed by the two company presidents, Pierre Peigney for Delahaye and Paul Richard for Hotchkiss, on 19 March 1954. 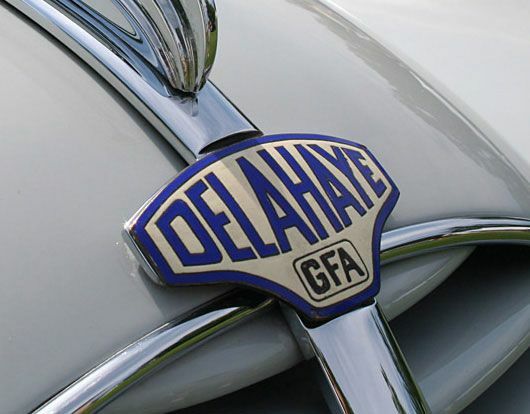 Delahaye shareholders agreed to the protocol, which amounted to a take over of Delahaye by Hotchkiss, less than three months later, on 9 June. 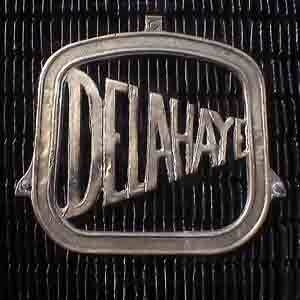 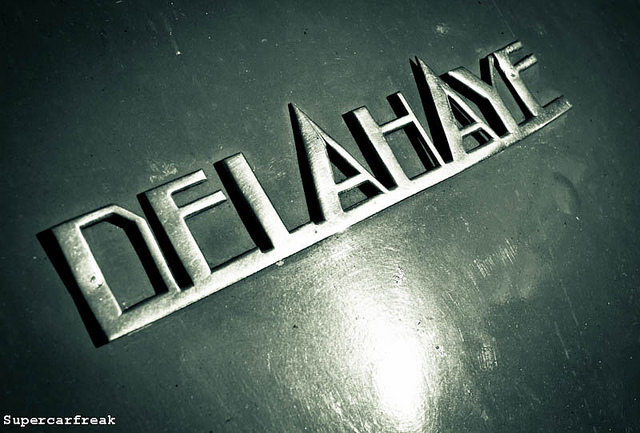 Hotchkiss shut down Delahaye car production. 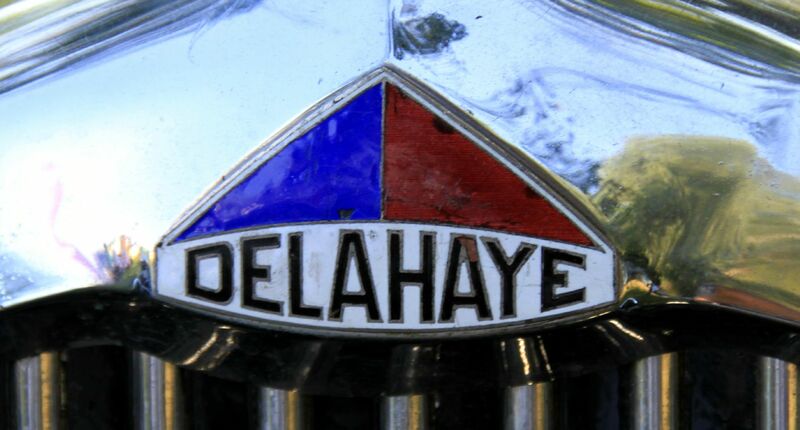 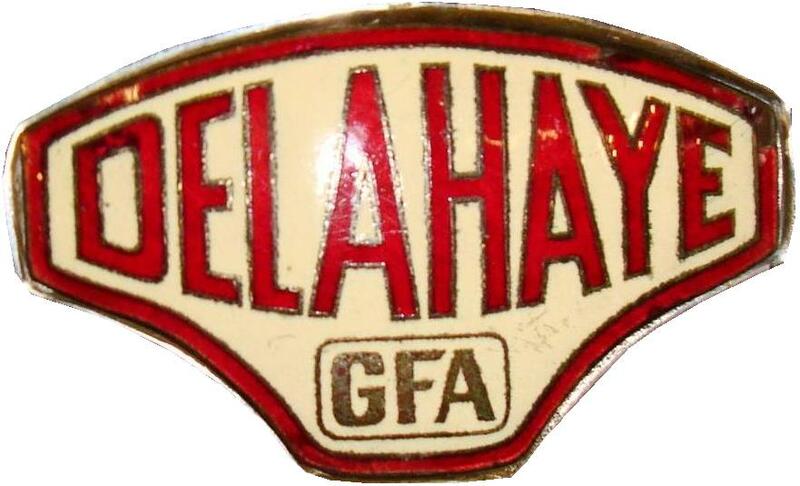 By the end of 1954, for a brief period selling trucks with the Hotchkiss-Delahaye nameplate, the combined firm was itself taken over by Brandt, and by 1955, Delahaye and Hotchkiss were out of the automotive chassis business altogether, having their facilities absorbed by the giant Brandt organization with its own objectives for its captives’ assets. 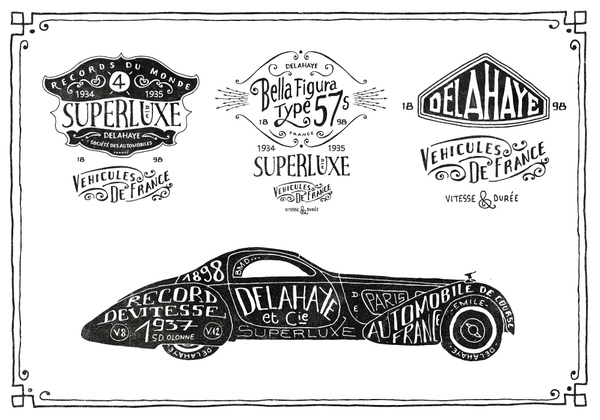 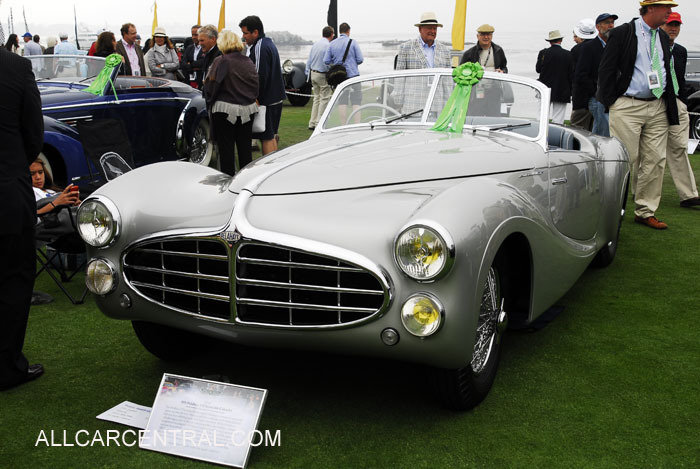 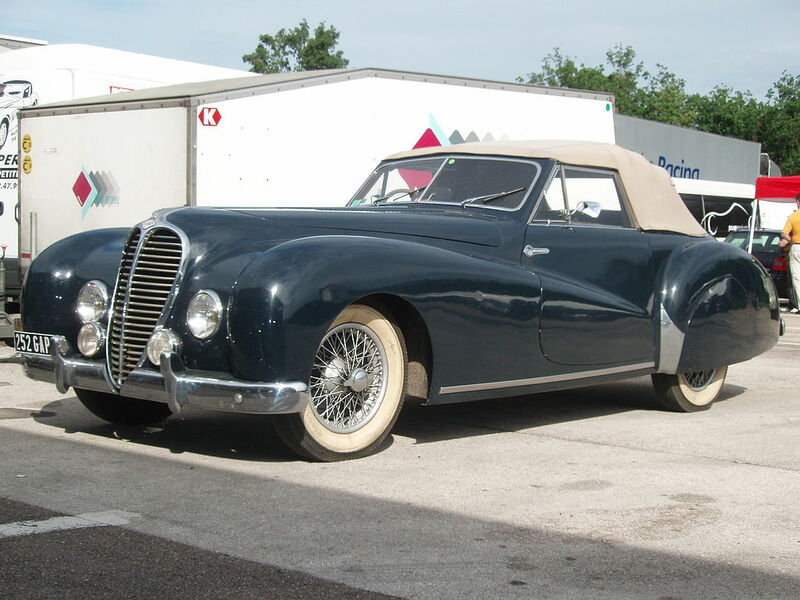 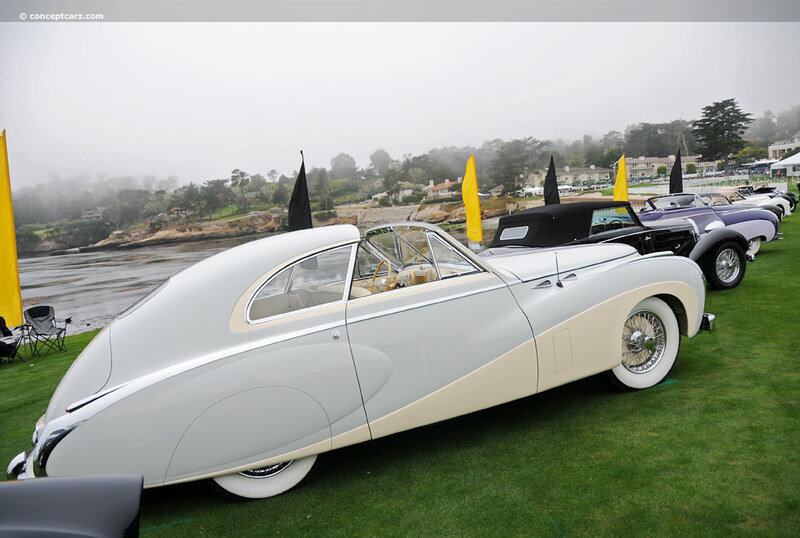 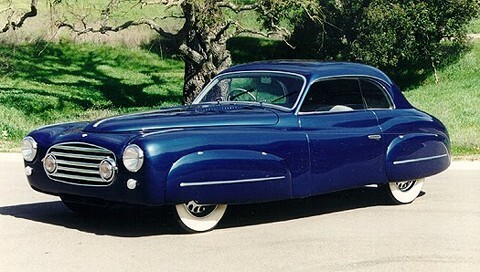 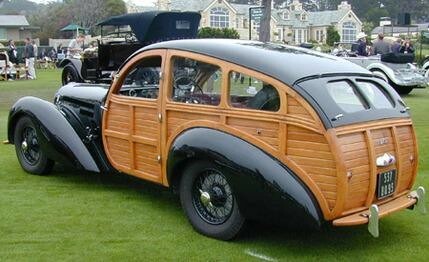 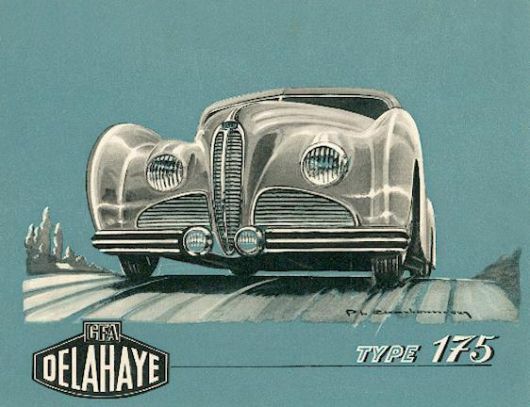 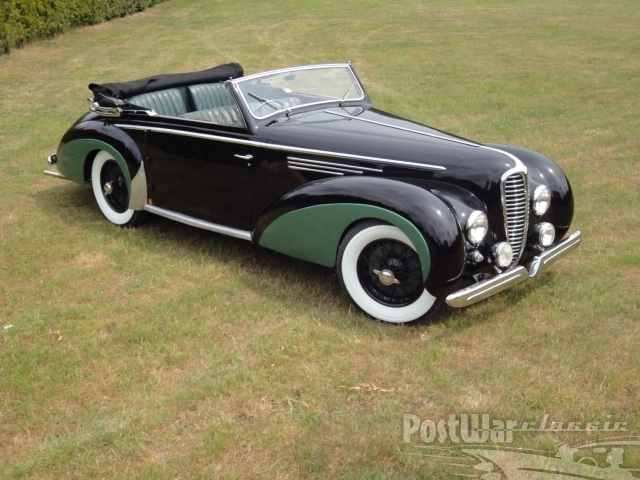 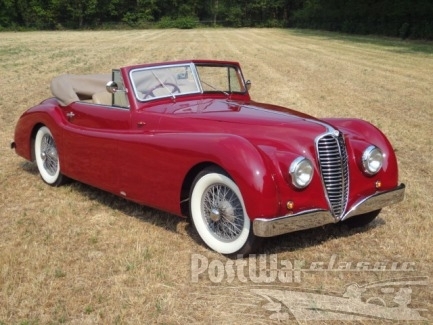 By 1956, the brands Delahaye, Delage, and Hotchkiss had forever disappeared.